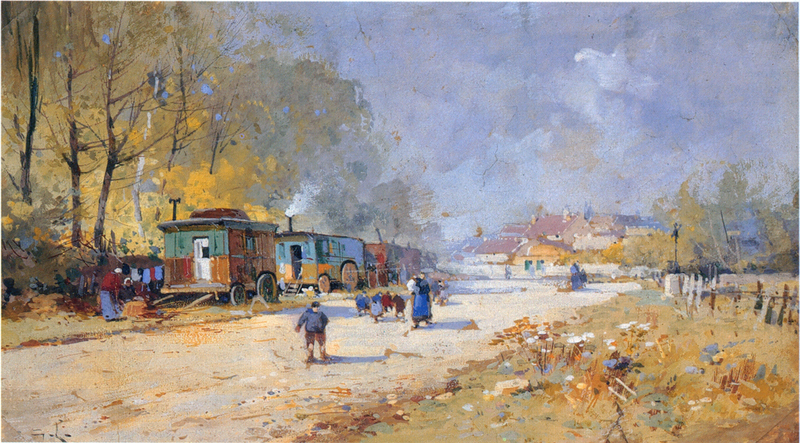 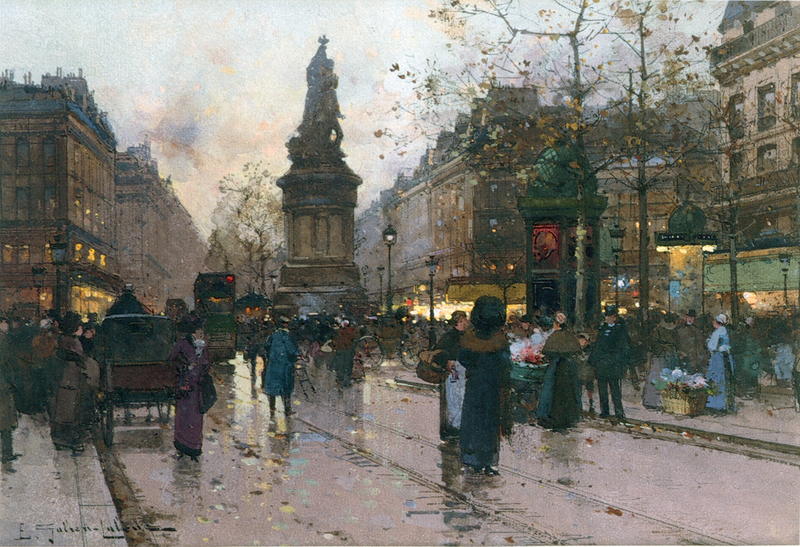 during the period around the BELLE EPOCHE, 1890 – 1900, is a genre ‘PARISIANISM’, created by four painters – THE PAINTERS OF PARIS -, LUIGI LOIR ( 1845 – 1916 ), JEAN BERAUD ( 1849 – 1936 ), EUGENE GALIEN-LALOUE ( 1854 – 1941 ) and EDOUARD-LEON CORTES ( 1882 – 1969 ). 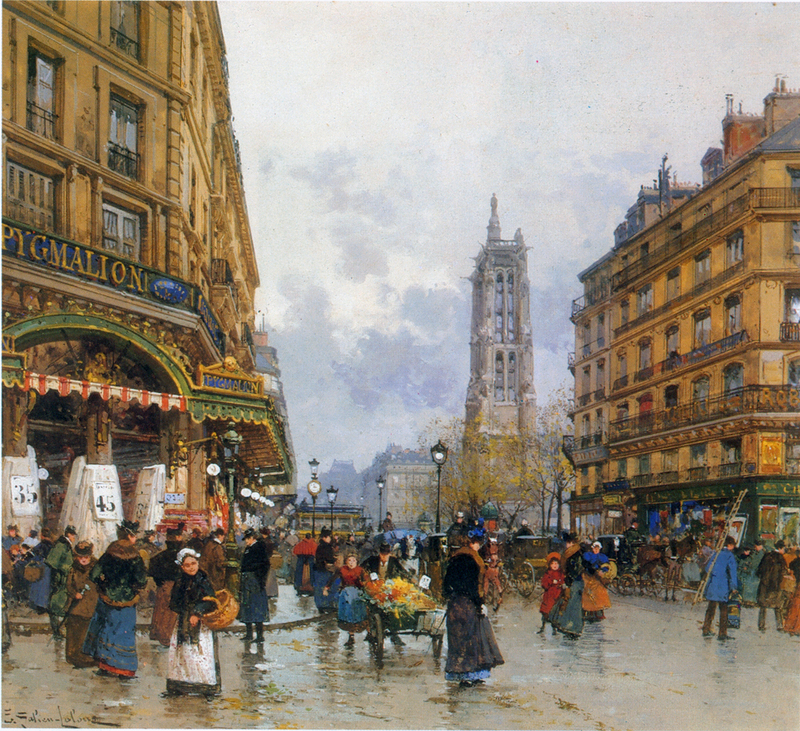 towards the end of the nineteenth century there were dramatic industrial, technological and economic changes in france, and the artists of that time recognized the importance to document the modern day life. 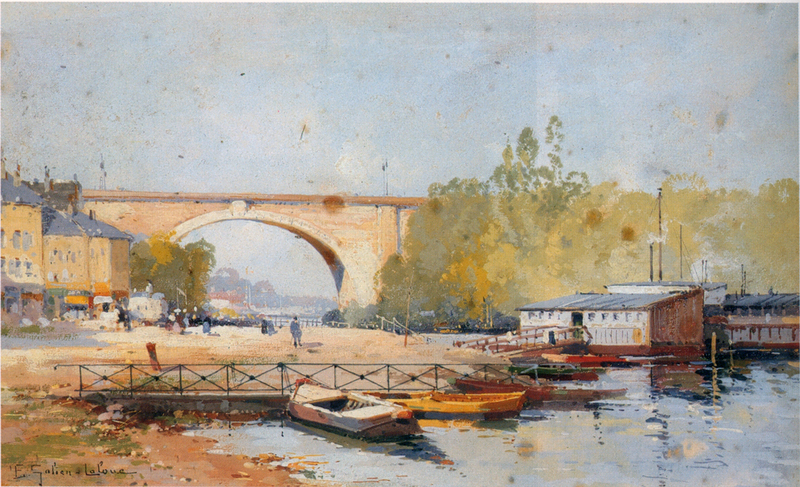 it was said about BERAUD that he painted ‘the parisians of paris’, but LOIR to paint ‘the paris of the parisians’. 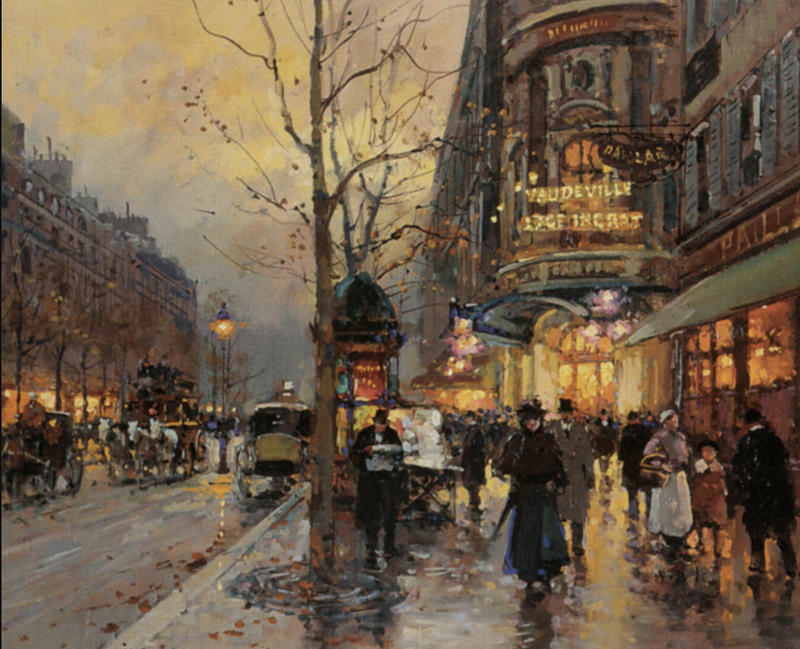 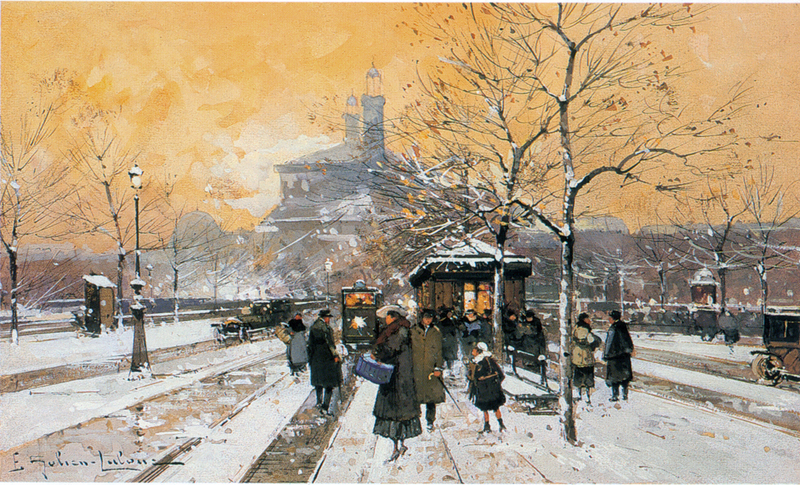 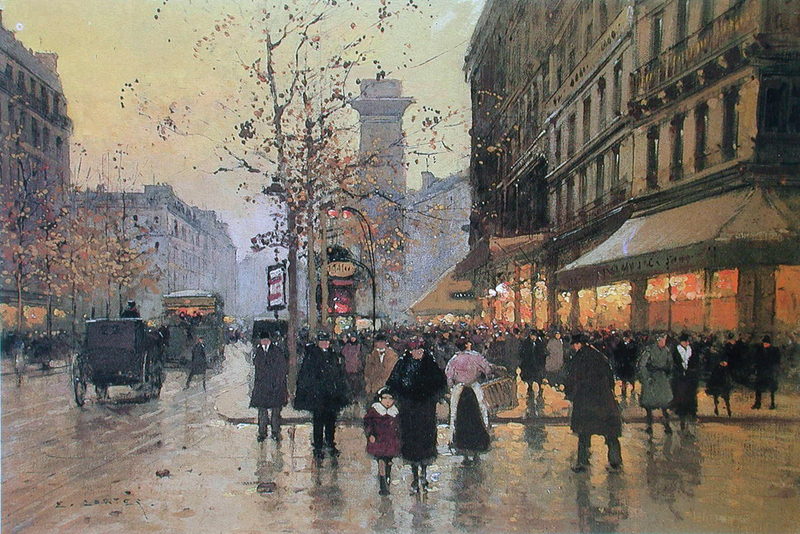 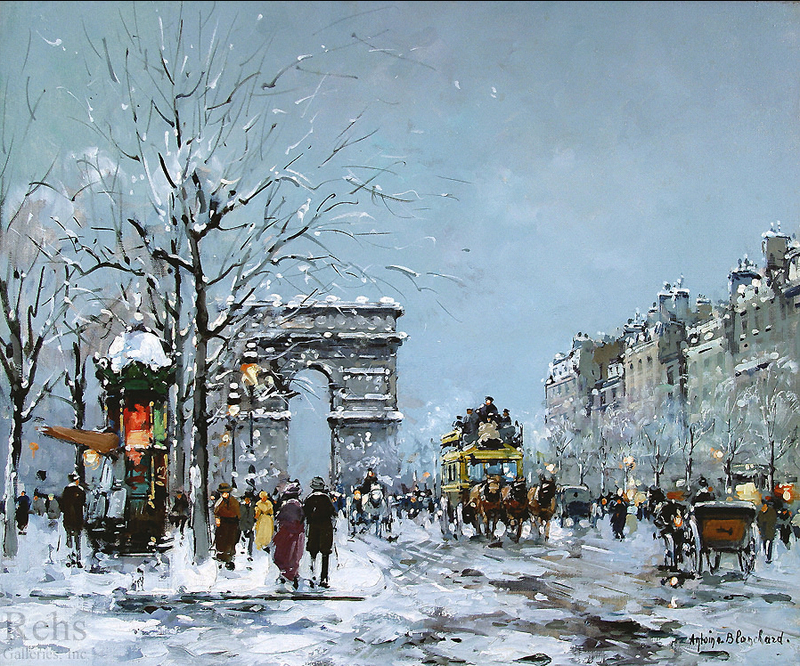 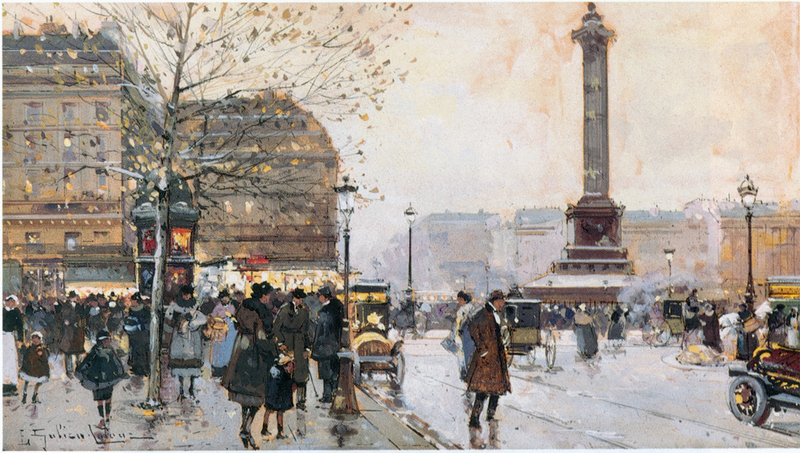 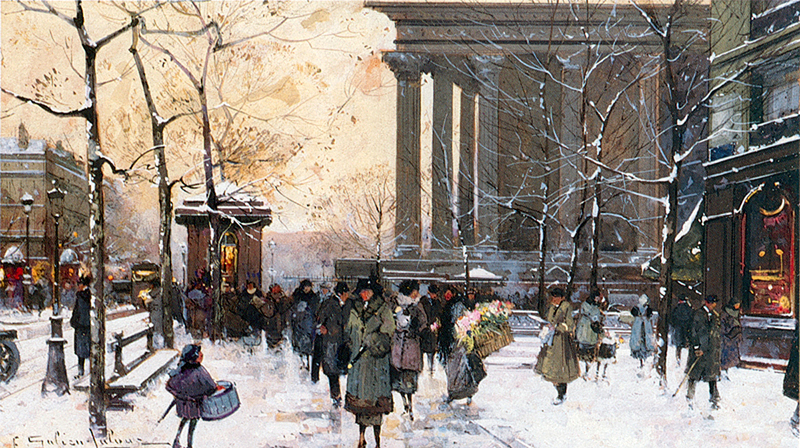 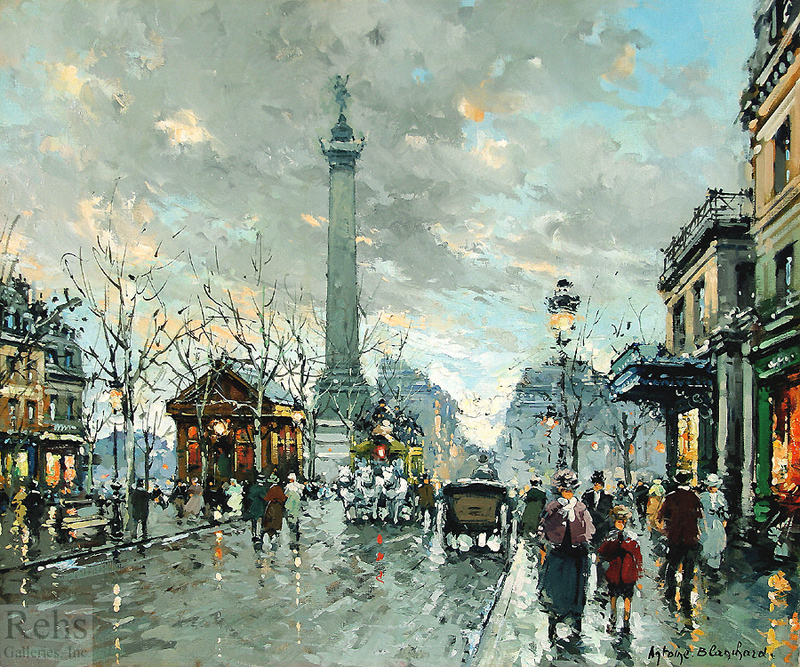 I introduced you already to EUGENE GALIEN-LALOUE, my favorite artist of the group of four. 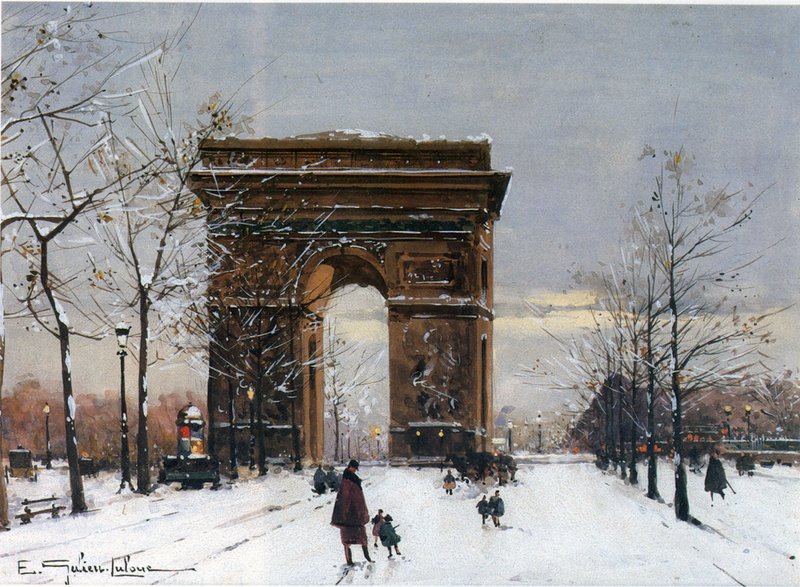 here now is some of their artwork for you to compare. 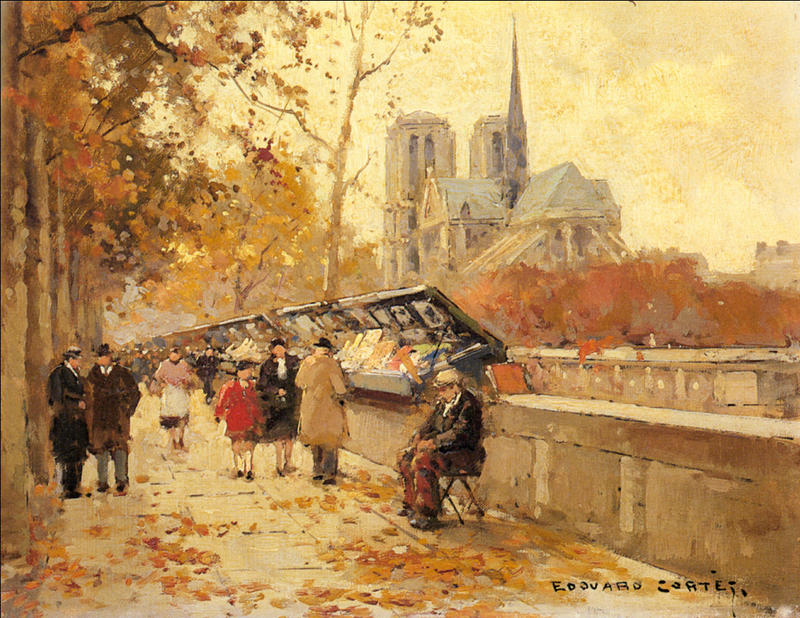 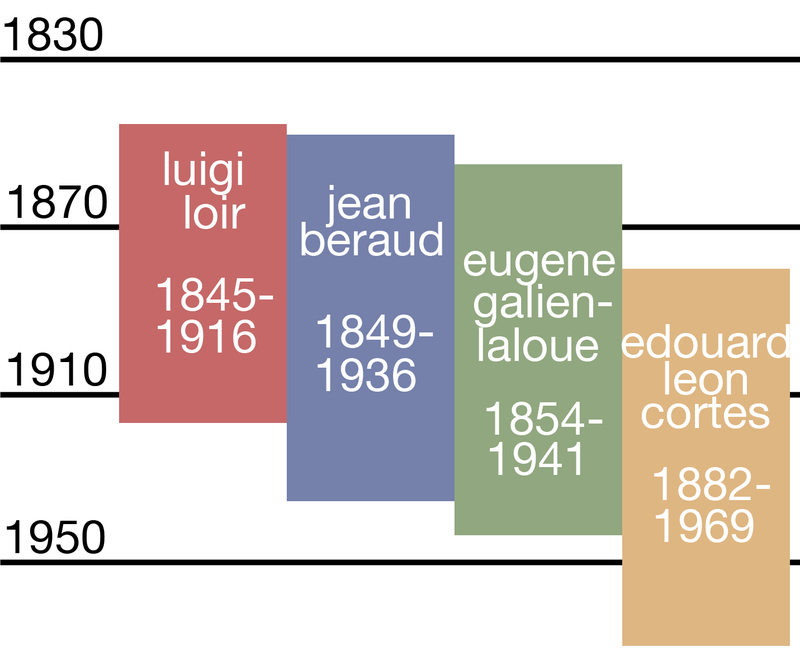 more information about EDOUARD-LEON CORTES in an earlier post. 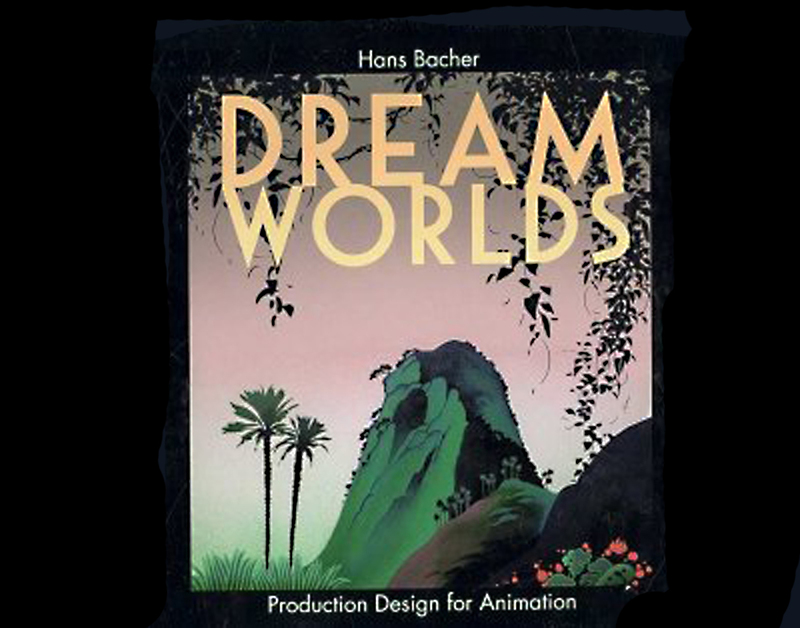 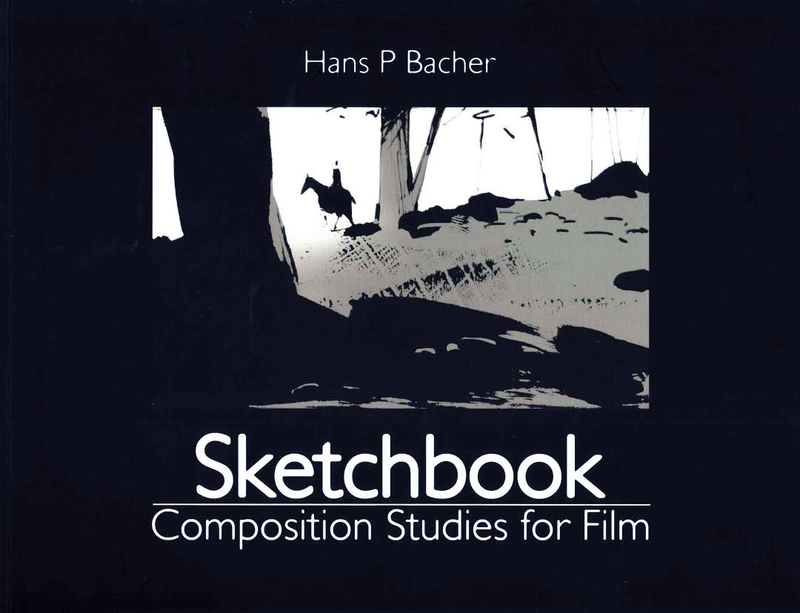 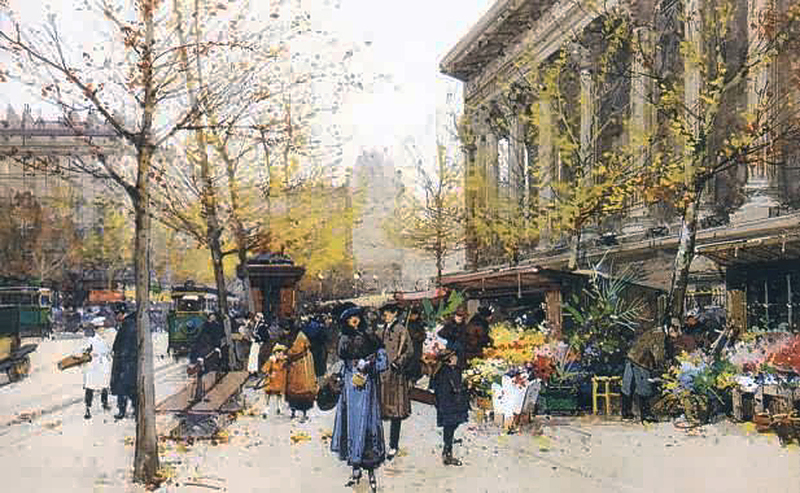 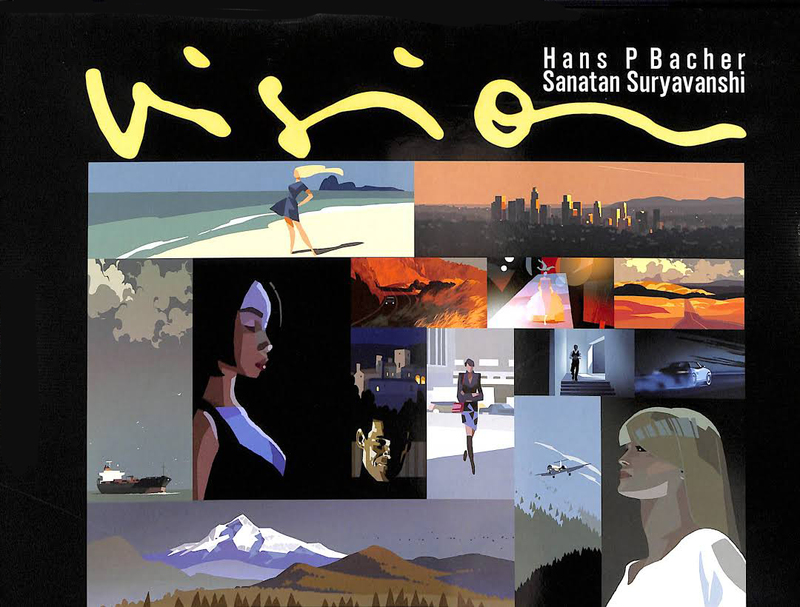 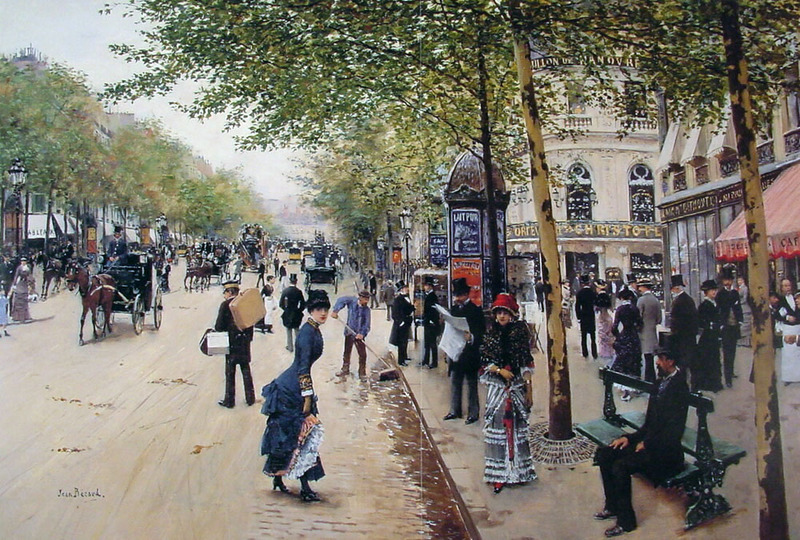 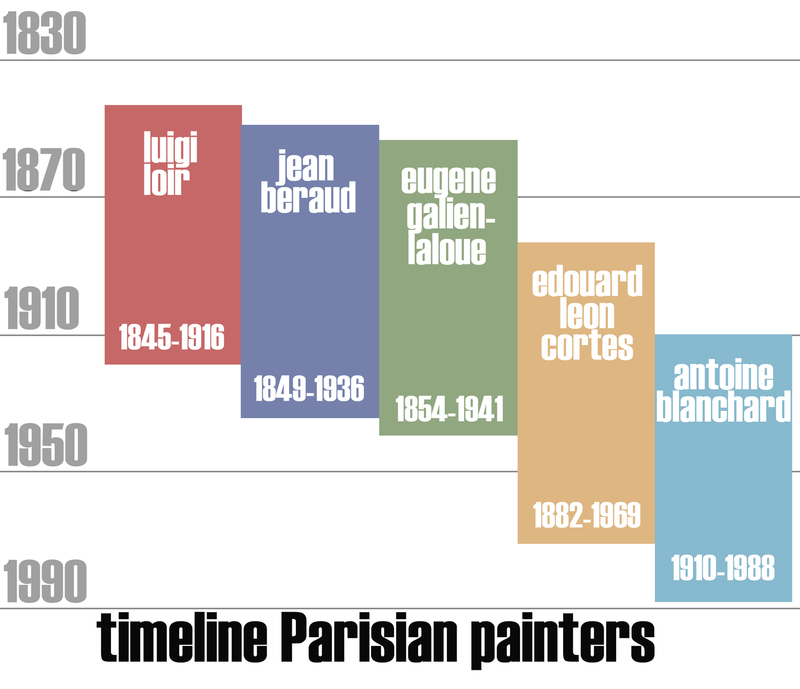 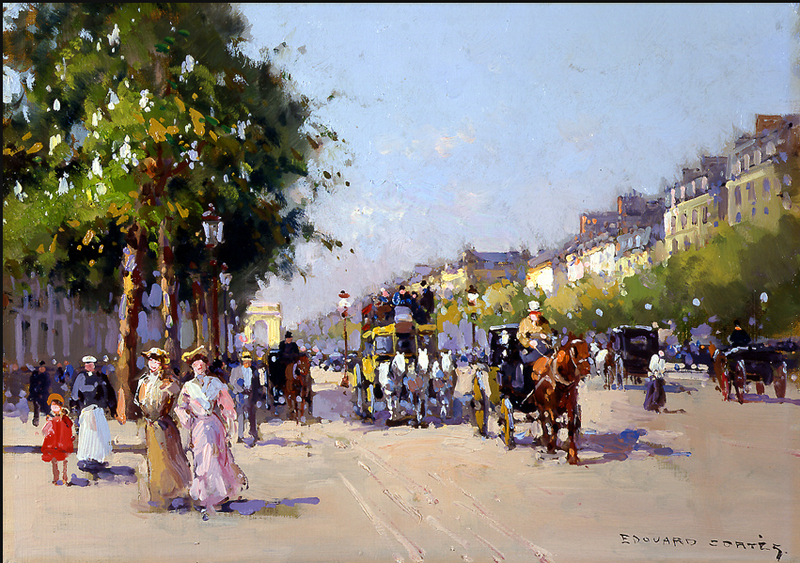 and more about parisianism and the other parisian painters here and here. 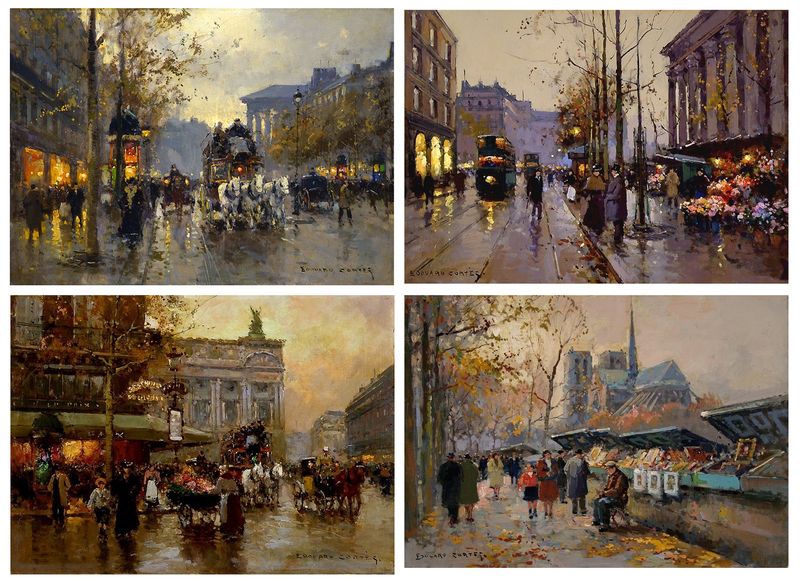 some more paintings from the ‘BELLE EPOQUE’, 1890 – 1900, from two of the PARISIAN PAINTERS – EDOUARD-LEON CORTES and EUGENE GALIEN-LALOUE. 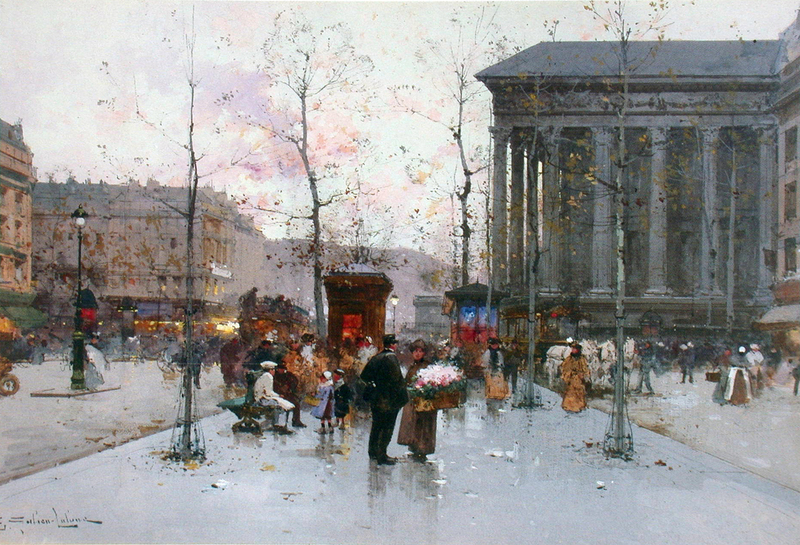 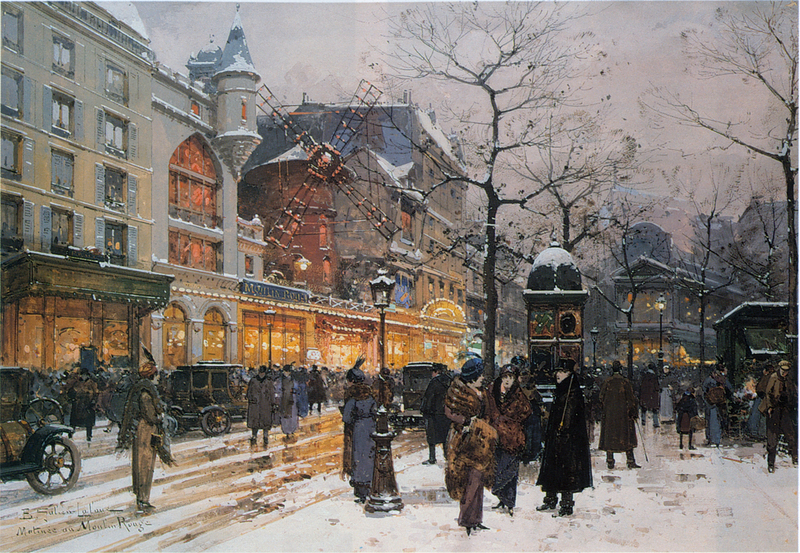 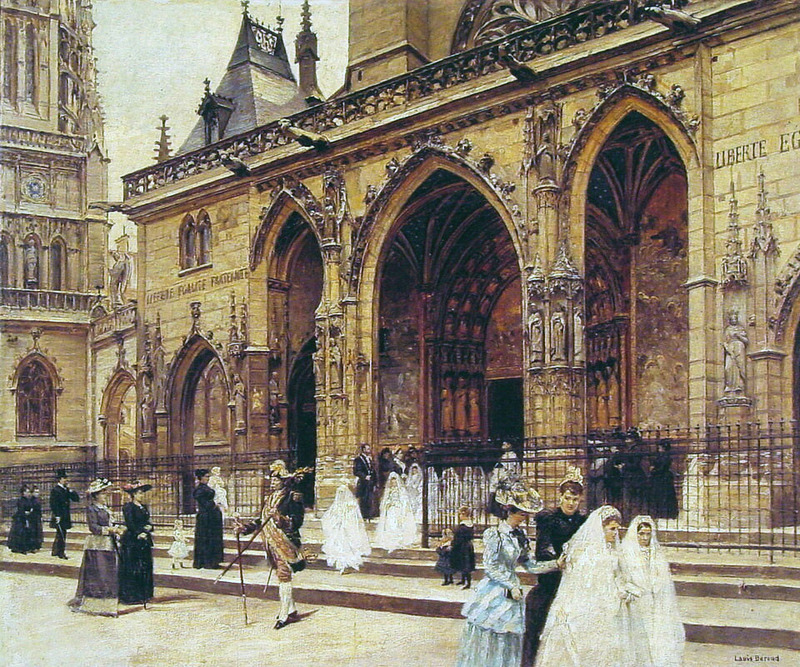 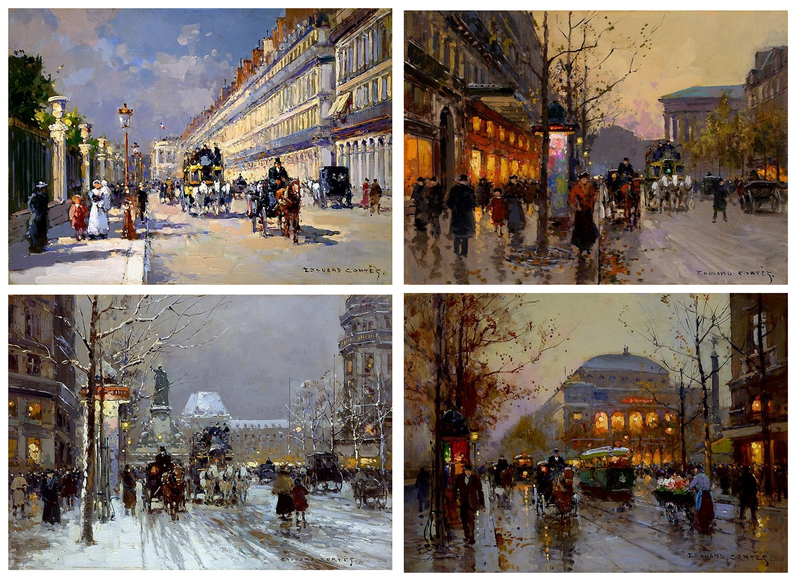 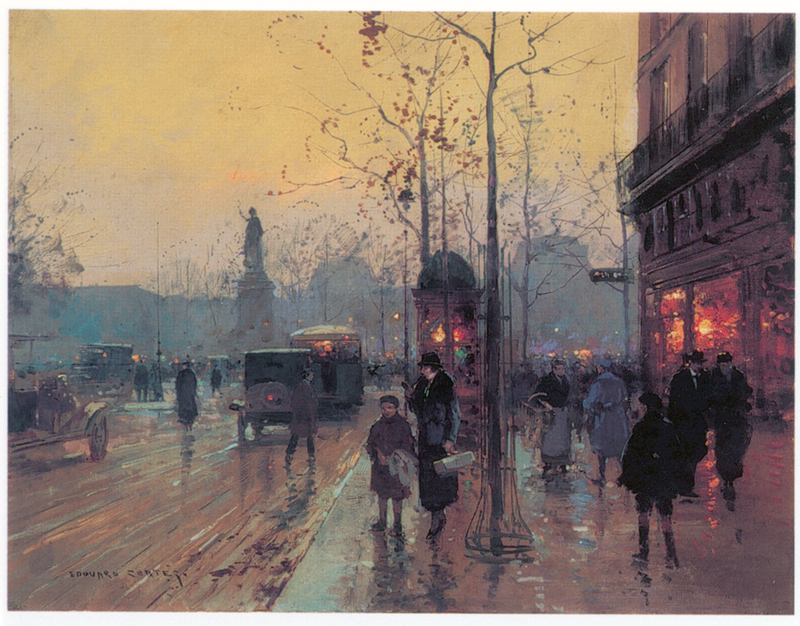 some more ‘belle epoque’ paintings from EUGENE GALIEN-LALOUE. 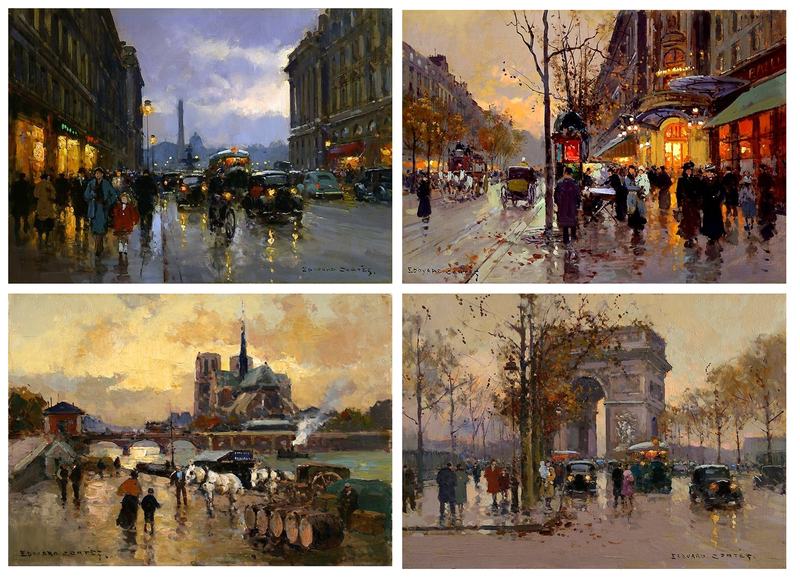 the first one is from EDOUARD-LEON CORTES, to show you that the parisian painters apparently had their same favorite motifs. 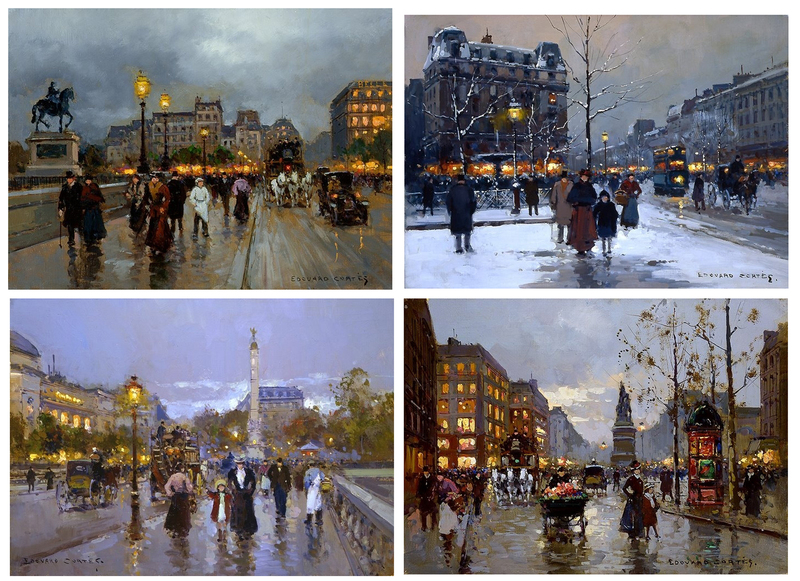 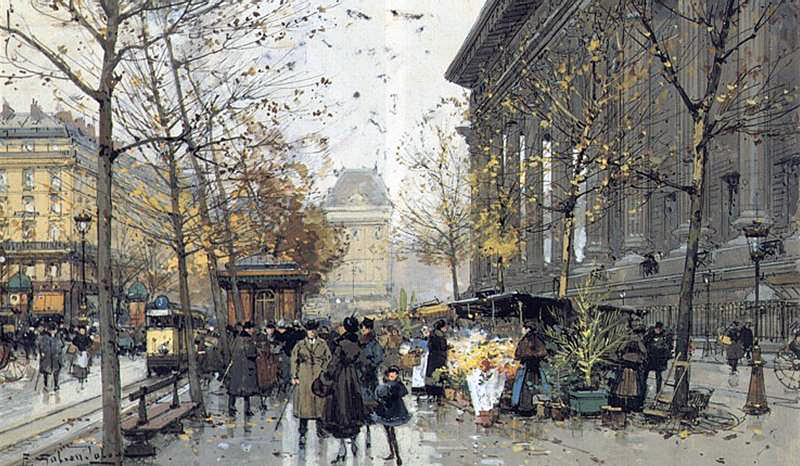 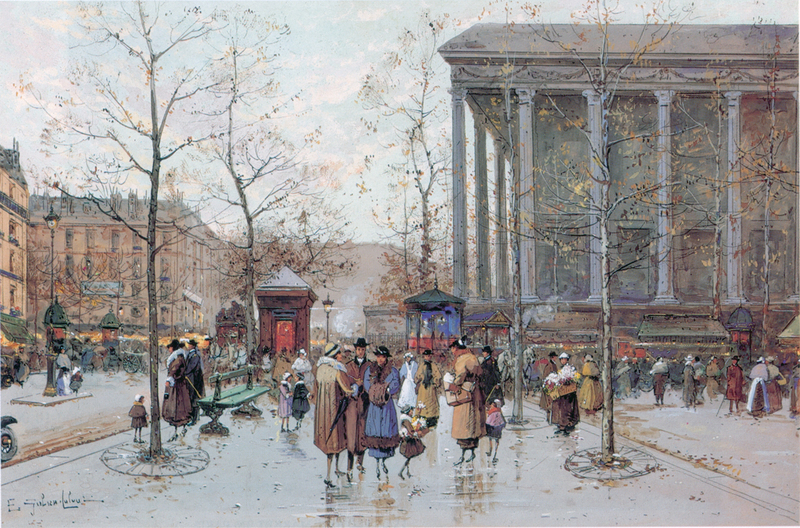 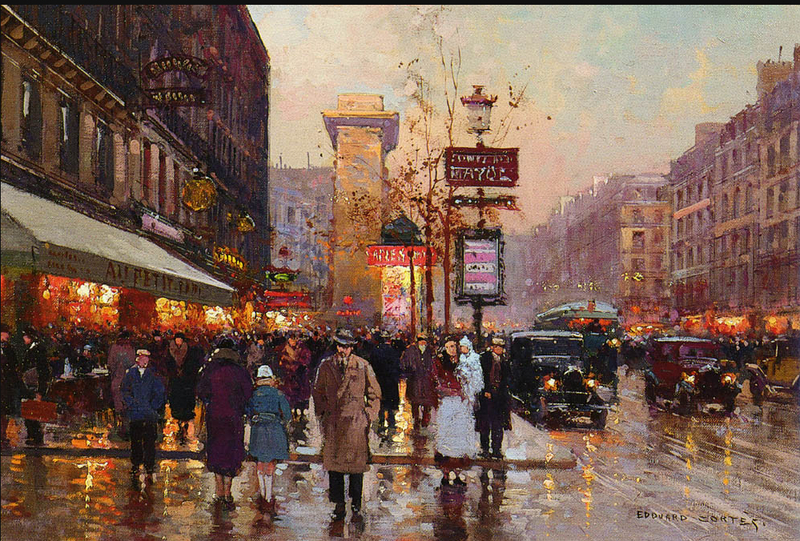 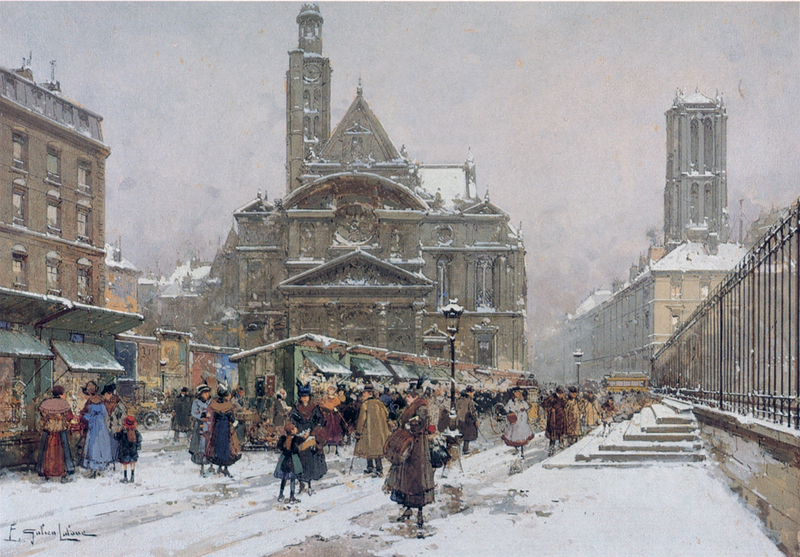 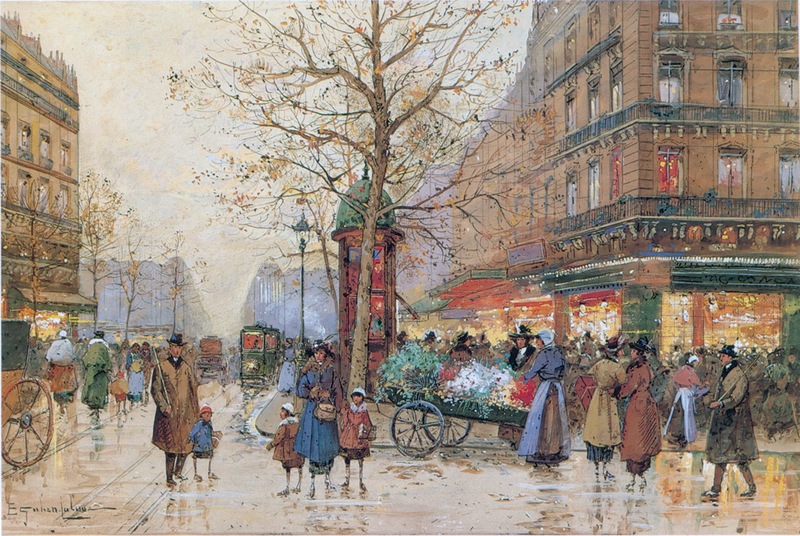 and, as you can see, even GALIEN-LALOUE himself painted a lot of the same motifs all over again through the different times of the year. 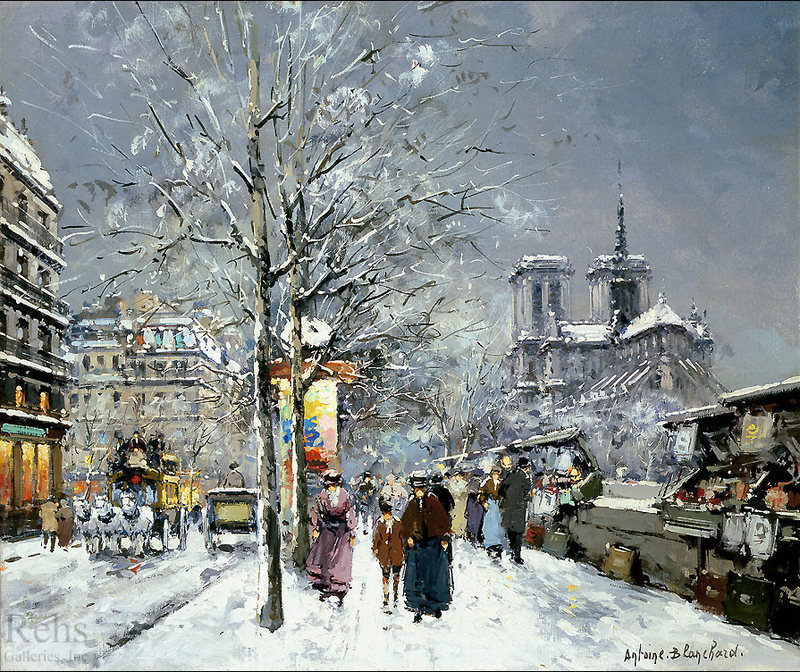 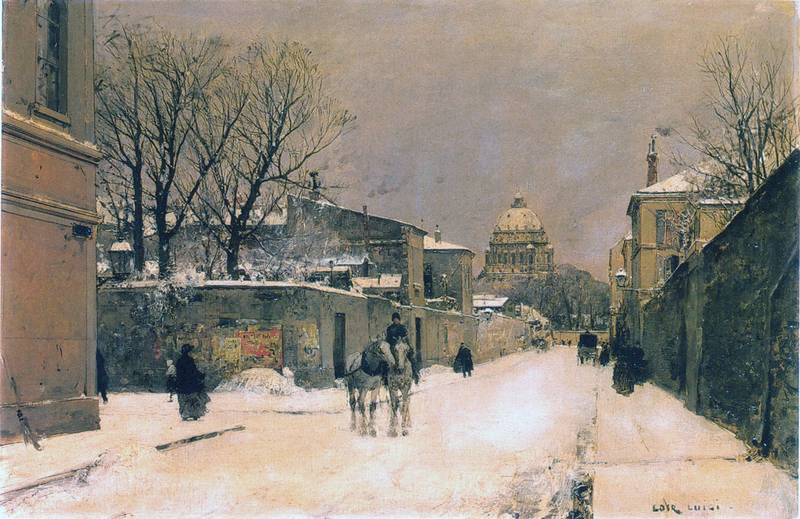 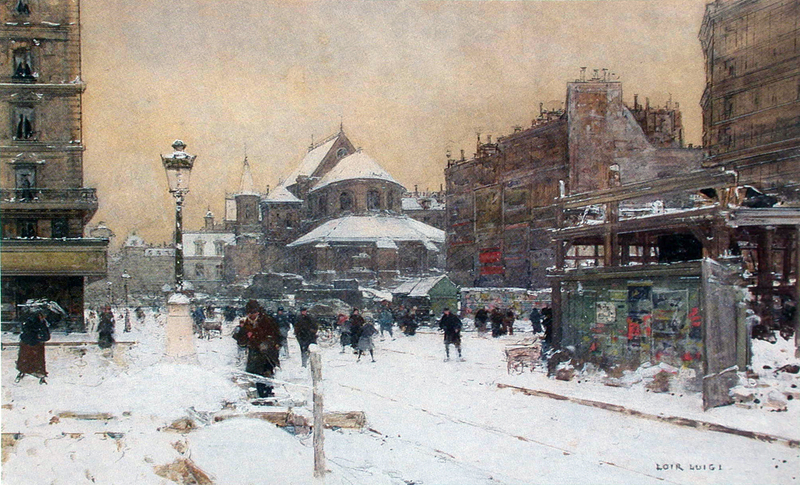 another reason for that was that photography had become popular and GALIEN-LALOUE probably preferred to work in his studio from reference photos. 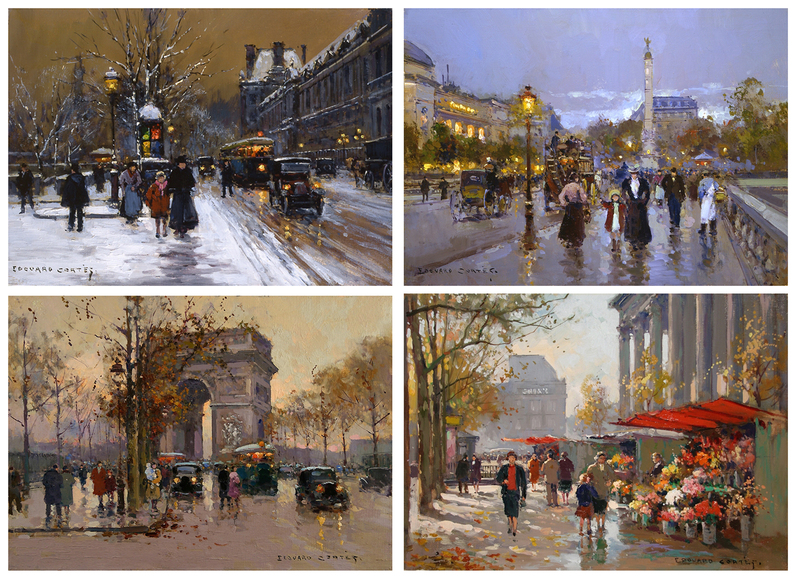 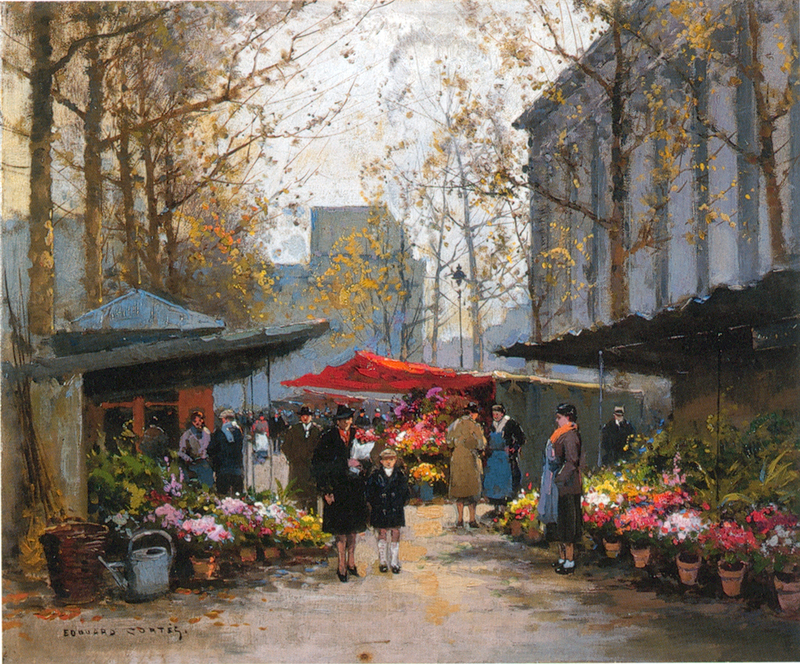 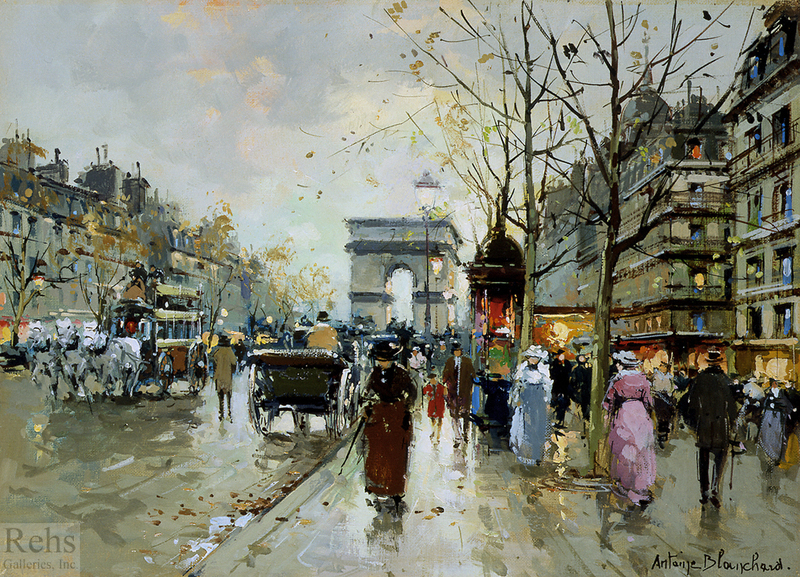 over the past years I have posted several articles about the PAINTERS OF PARIS, LUIGI LOIR ( 1845 – 1916 ), JEAN BERAUD ( 1849 – 1936 ), EUGENE GALIEN-LALOUE ( 1854 – 1941 ), EDOUARD-LEON CORTES ( 1882 – 1969 ) and ANTOINE BLANCHARD, ( 1910 – 1988 ), and the genre PARISIANISM. 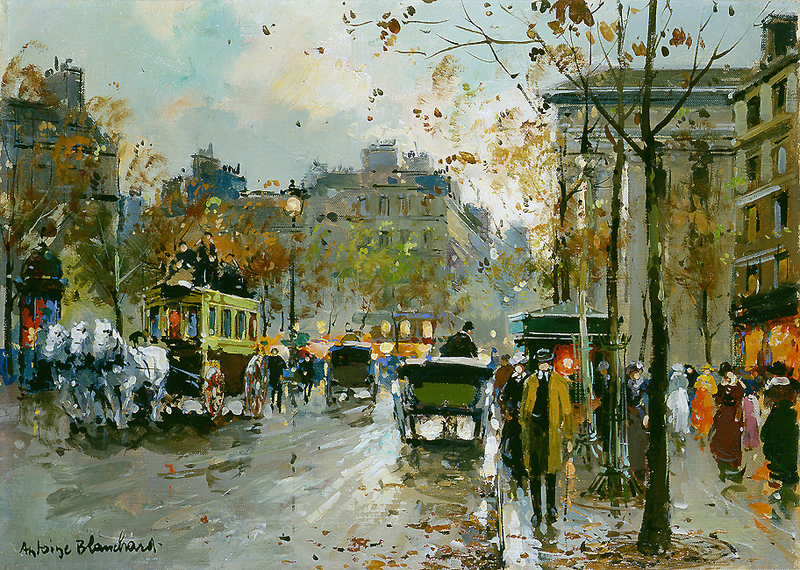 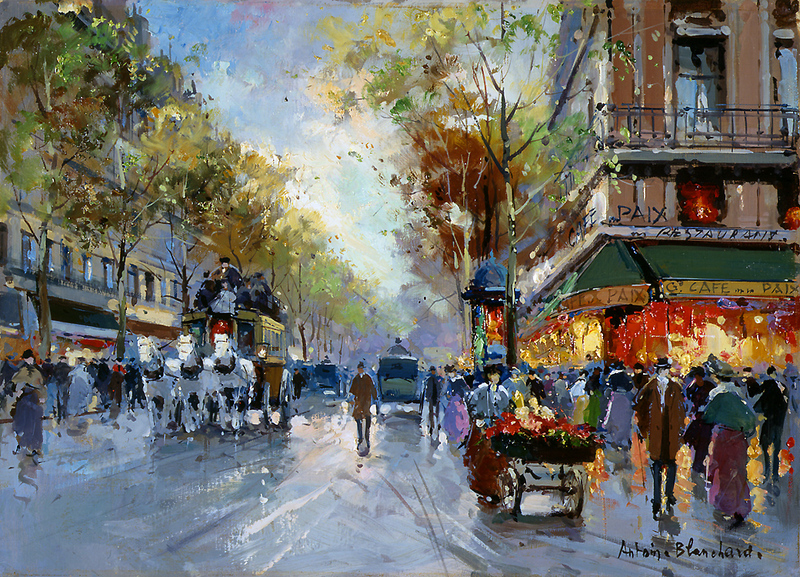 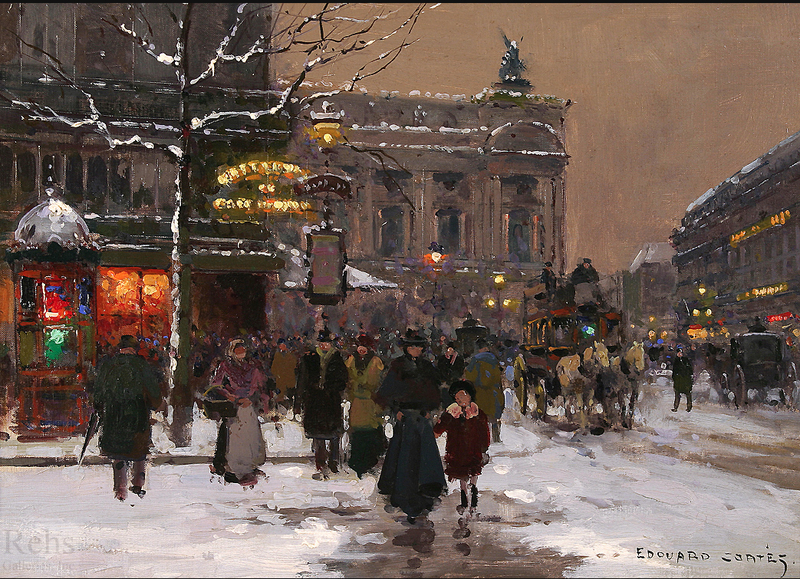 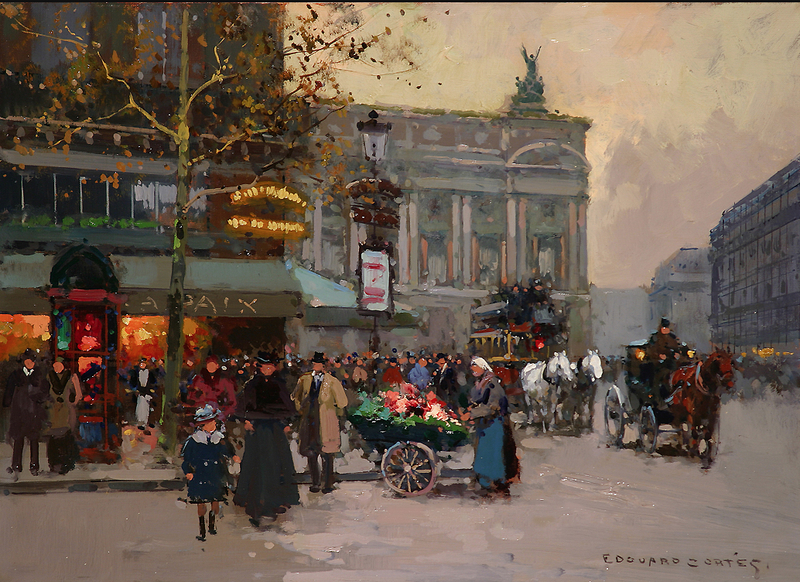 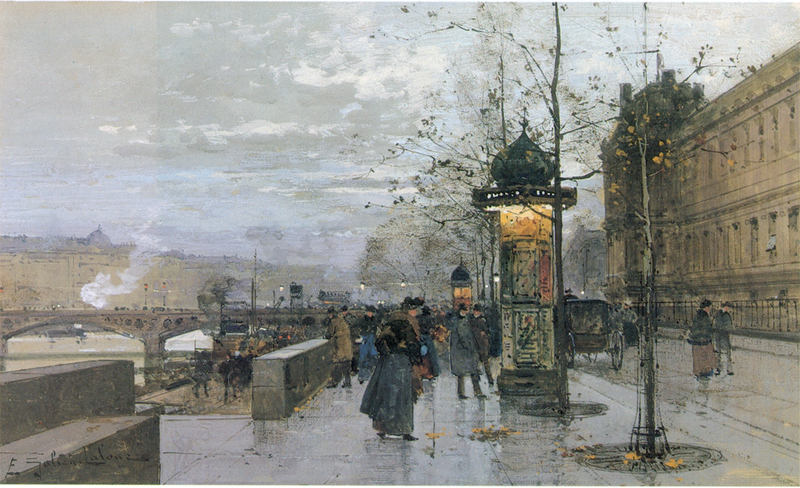 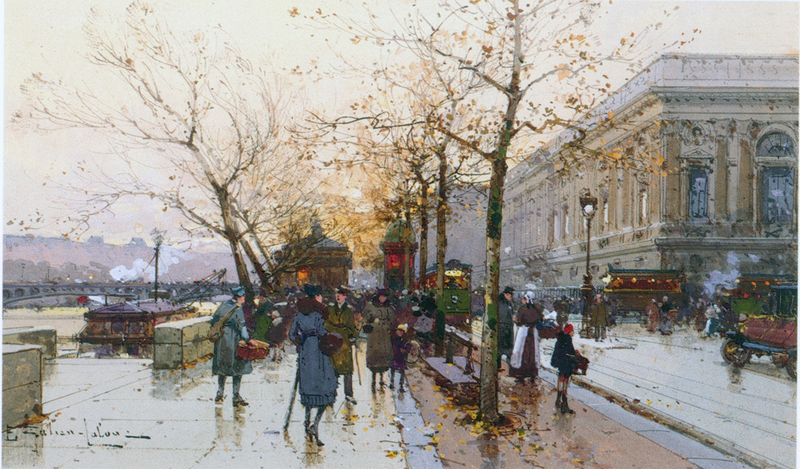 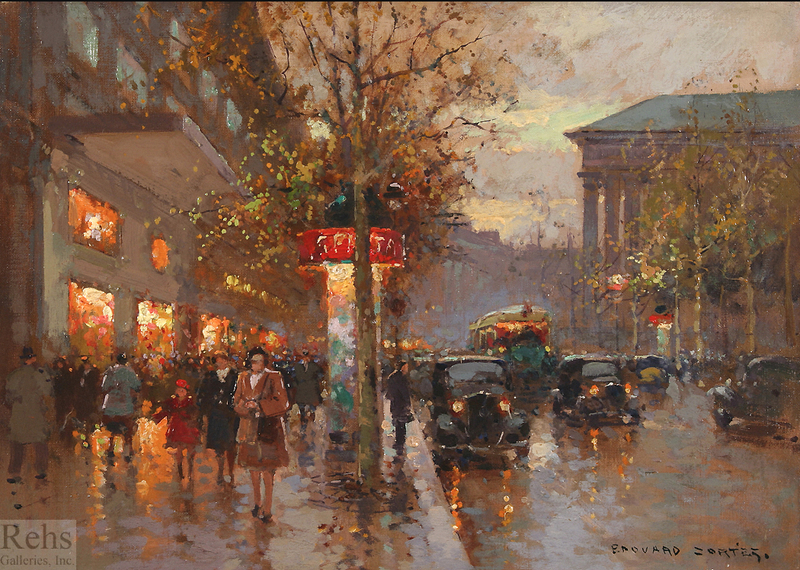 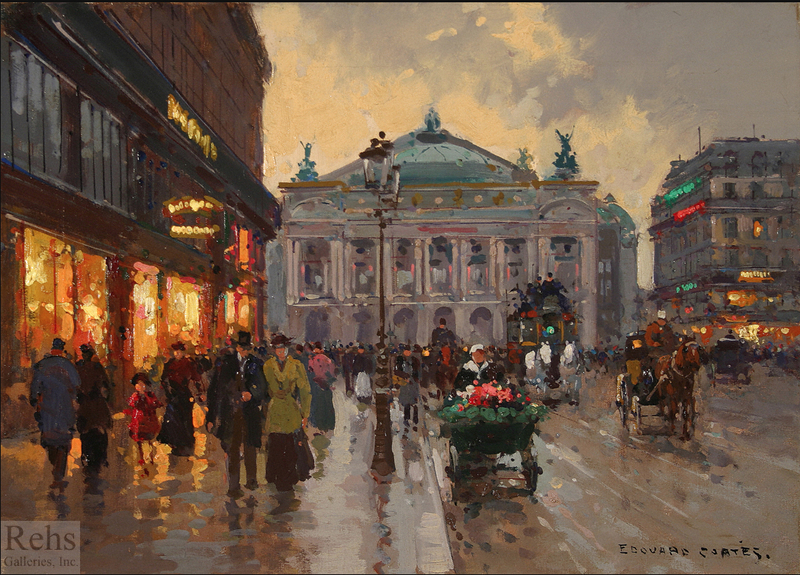 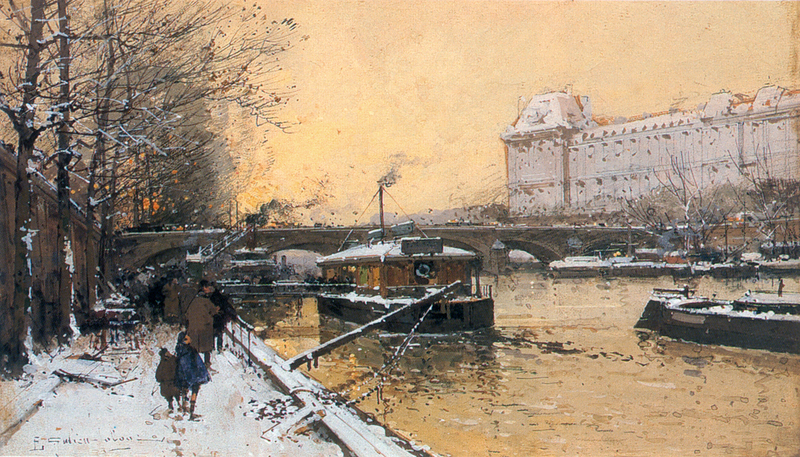 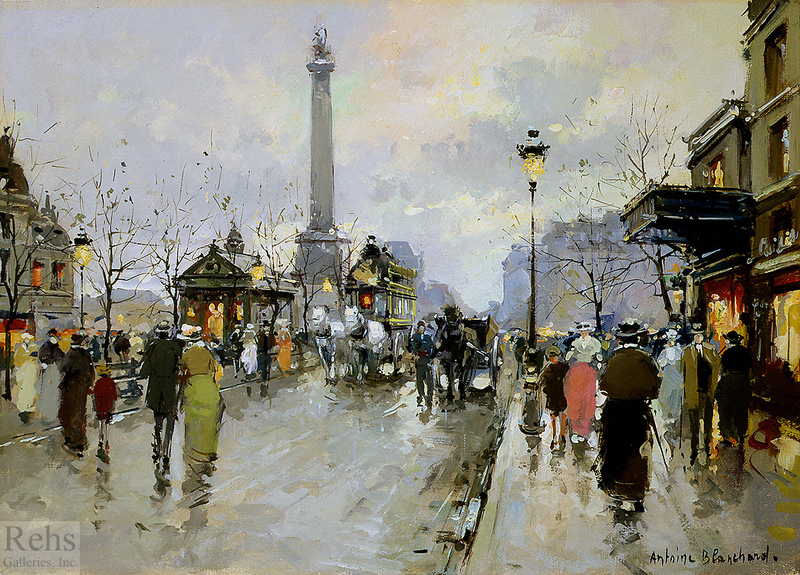 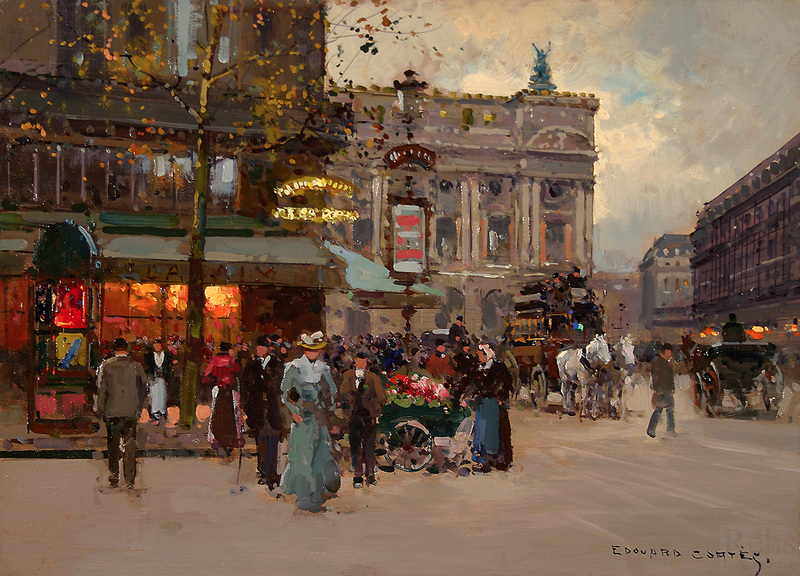 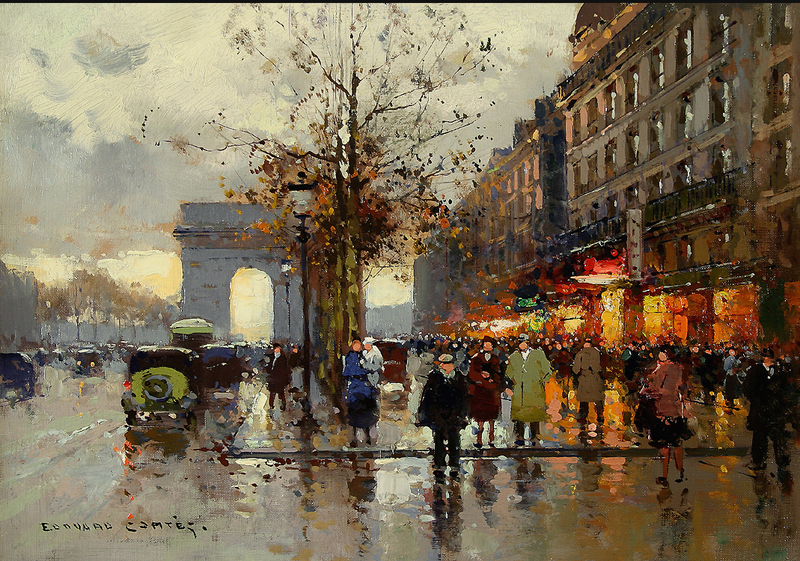 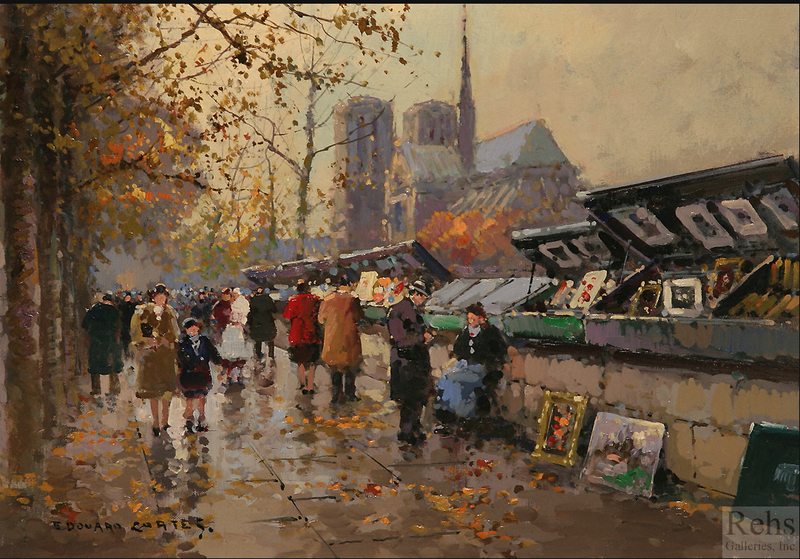 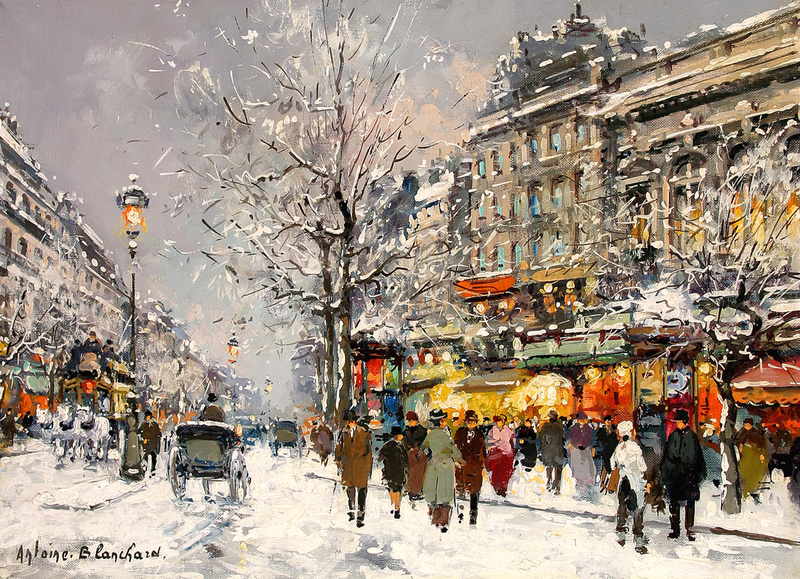 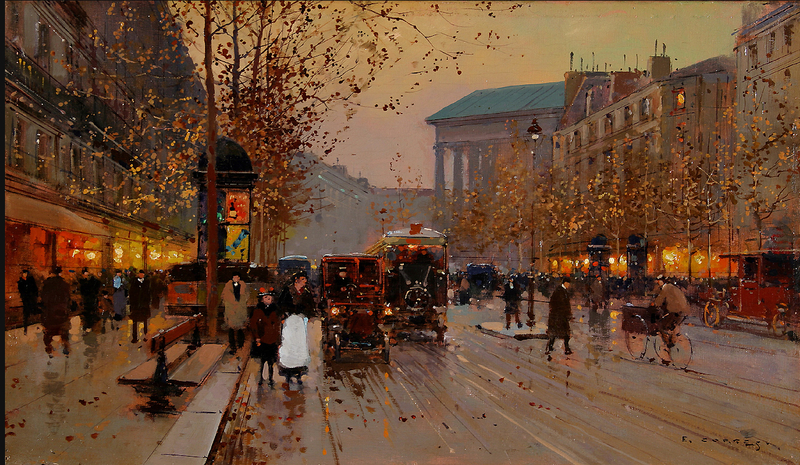 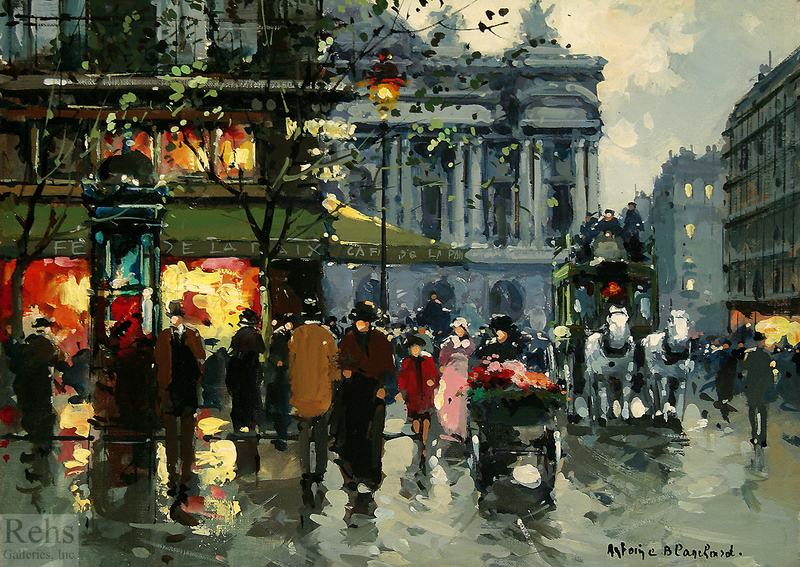 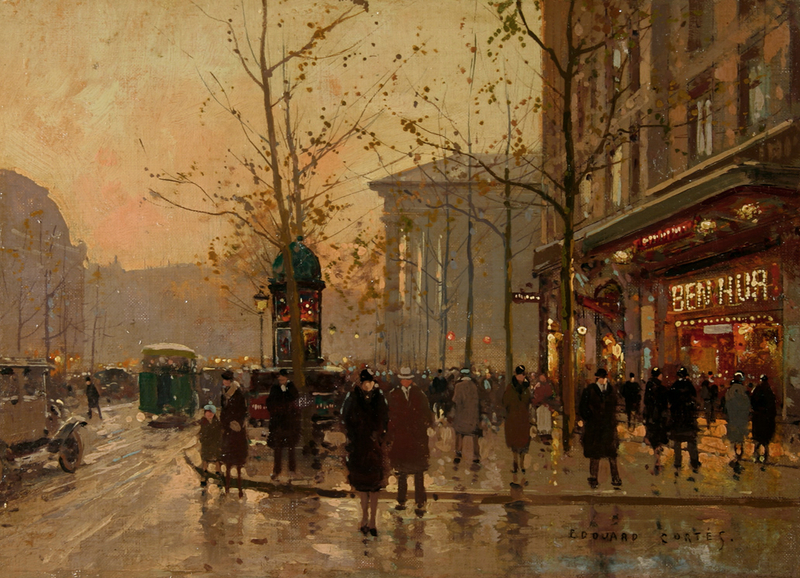 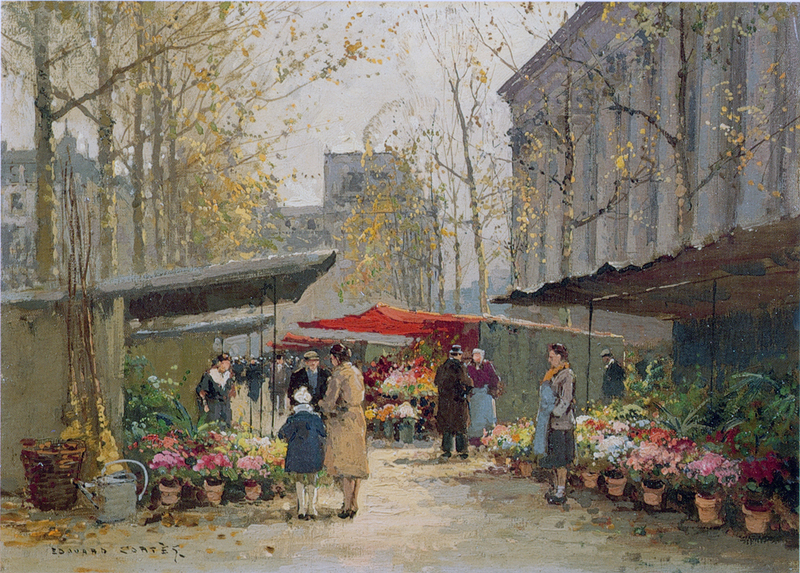 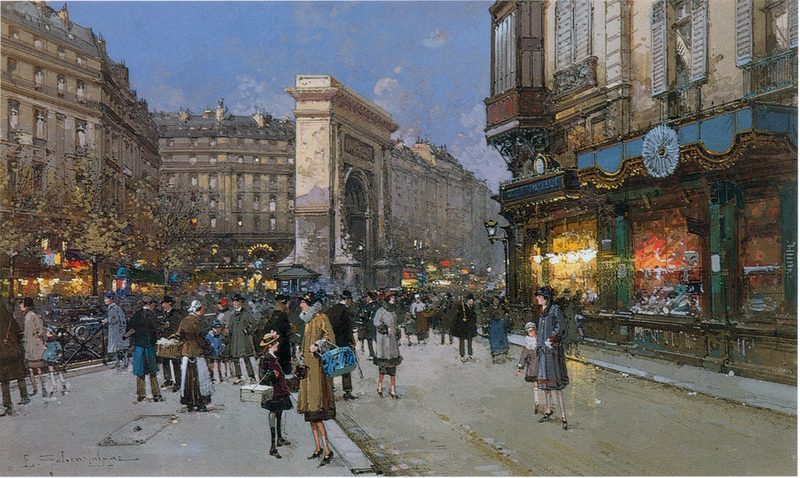 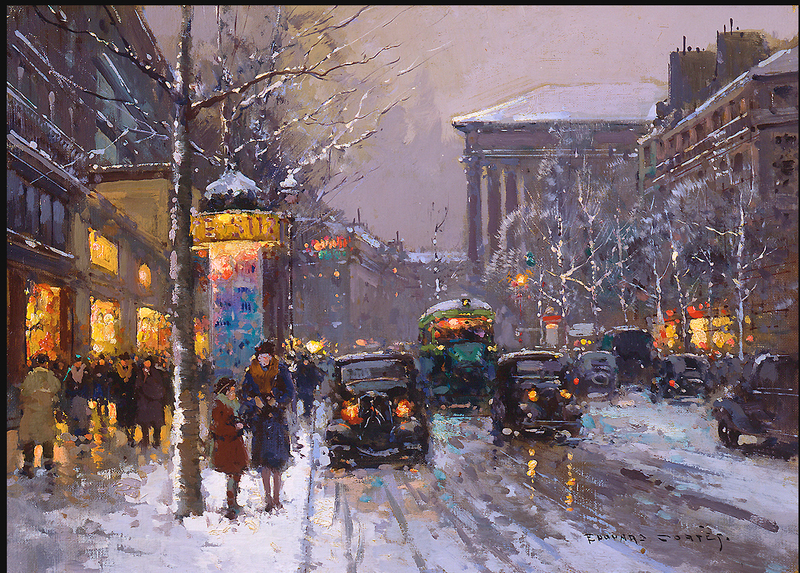 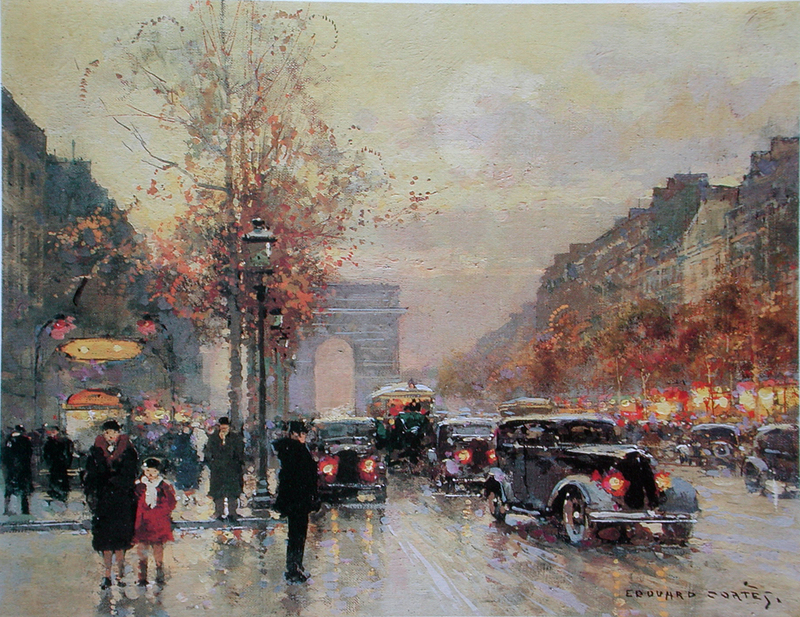 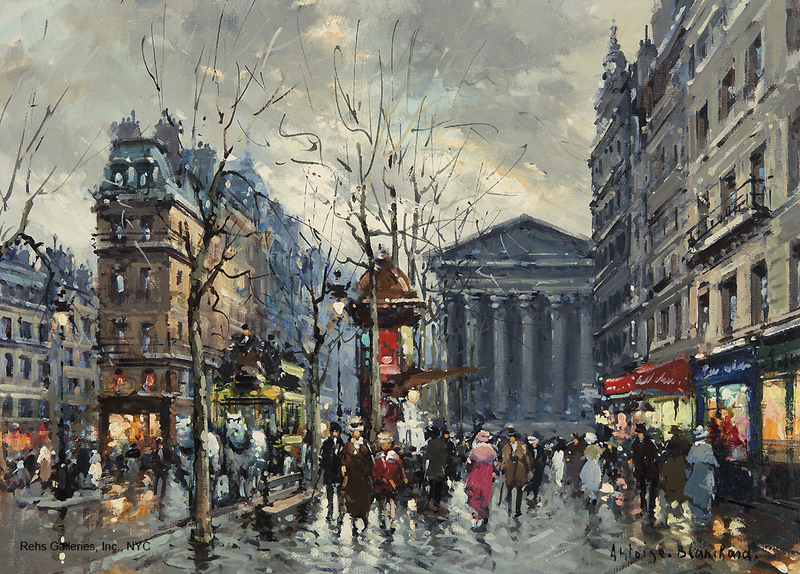 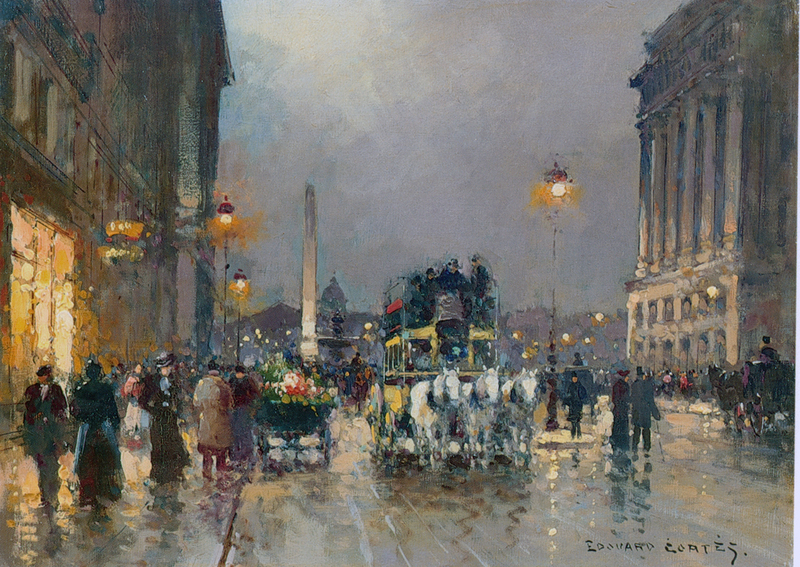 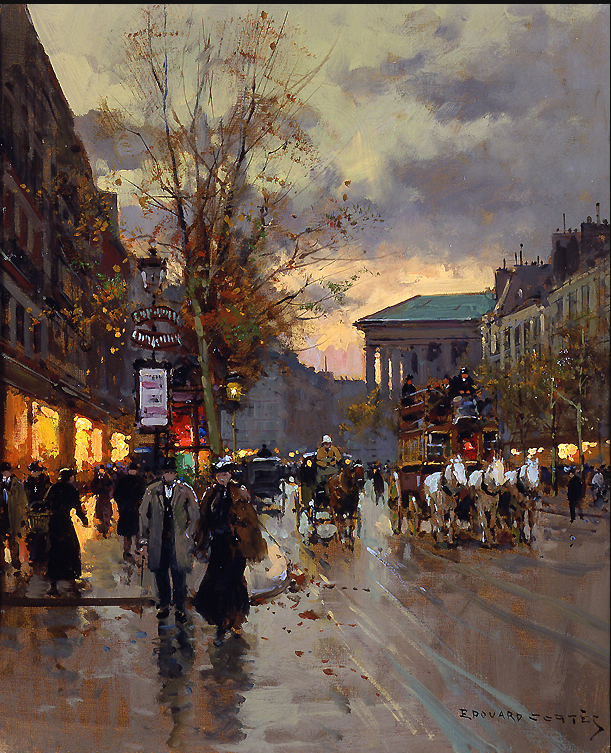 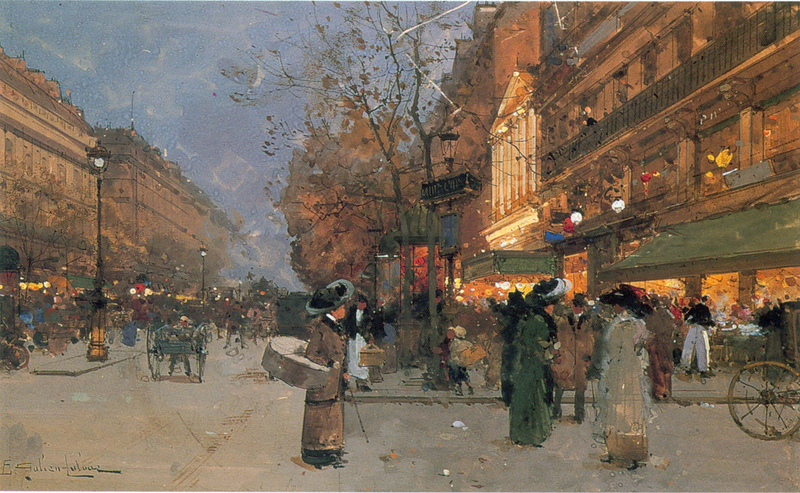 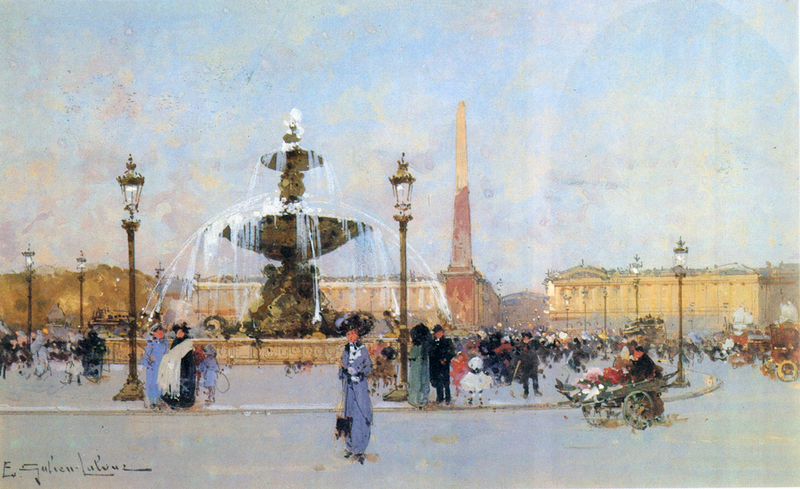 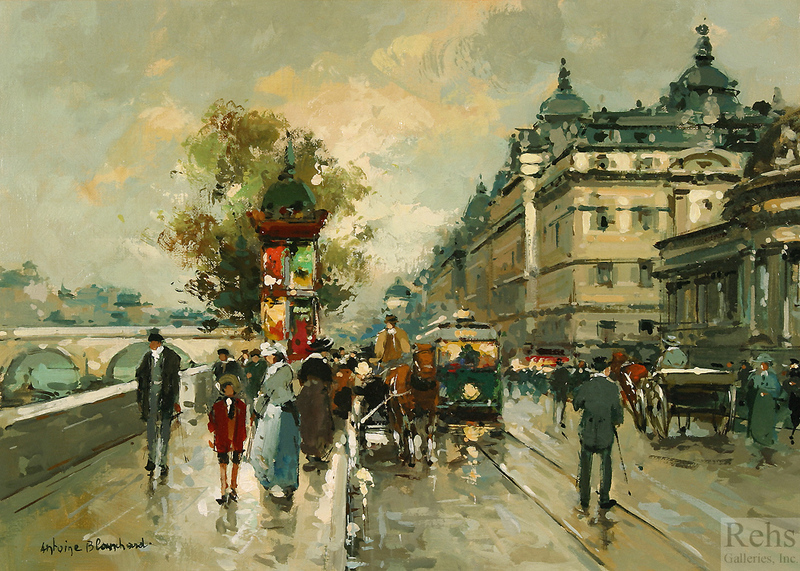 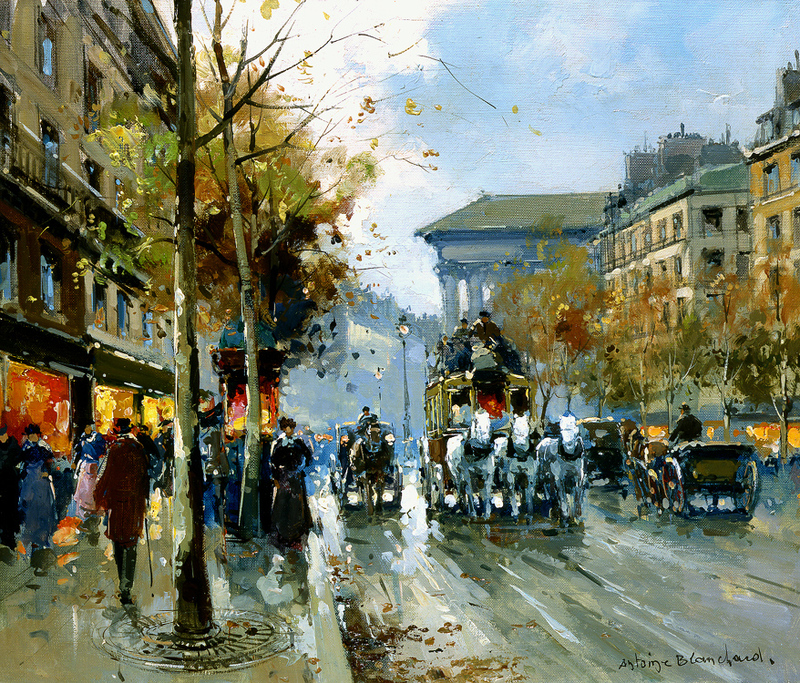 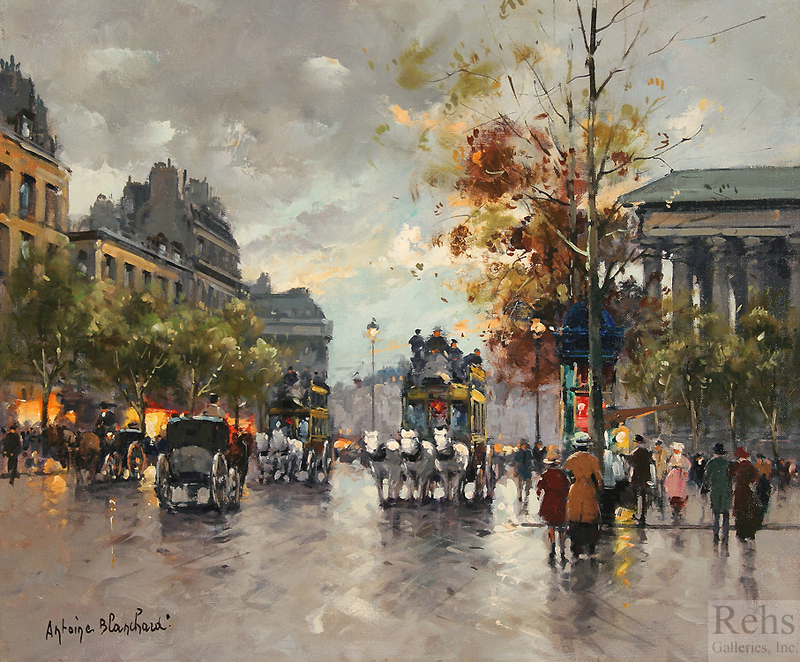 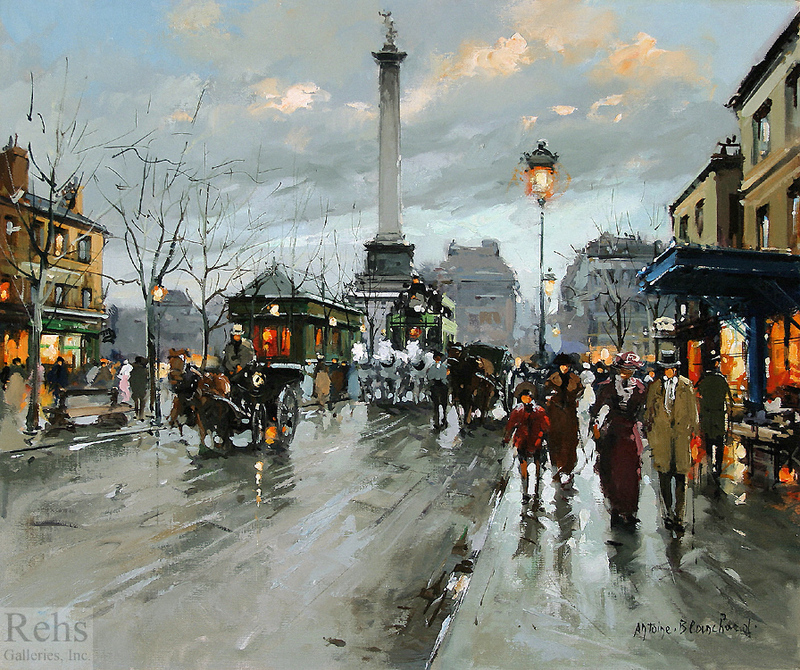 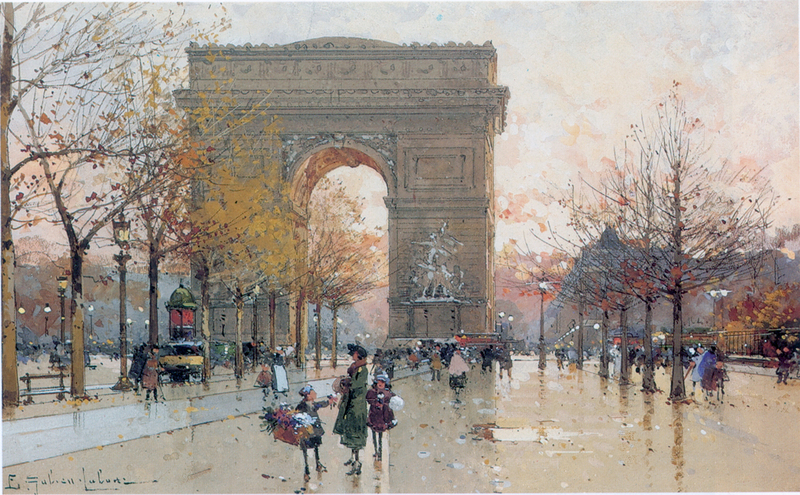 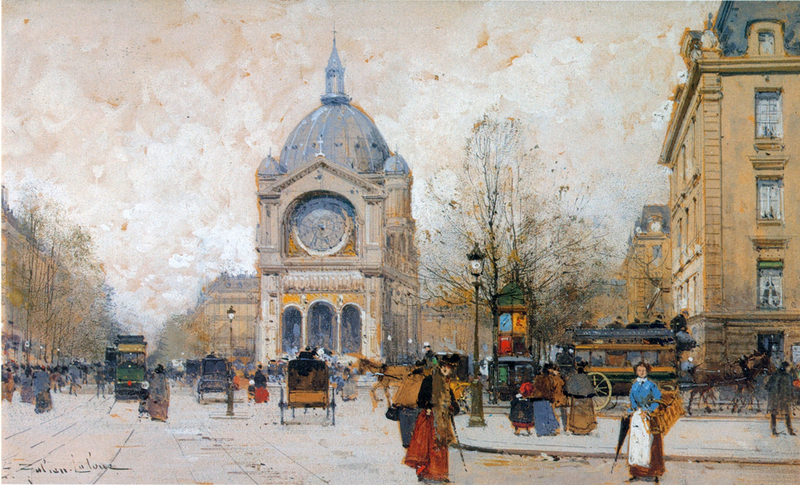 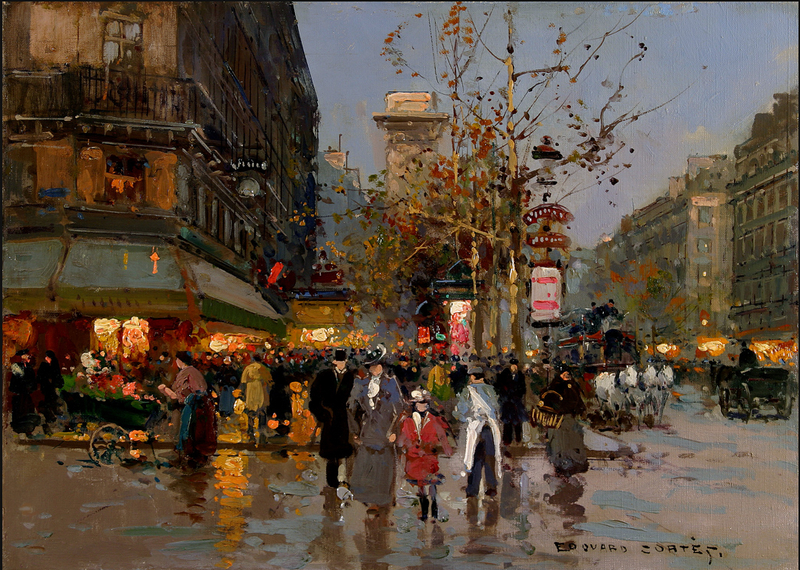 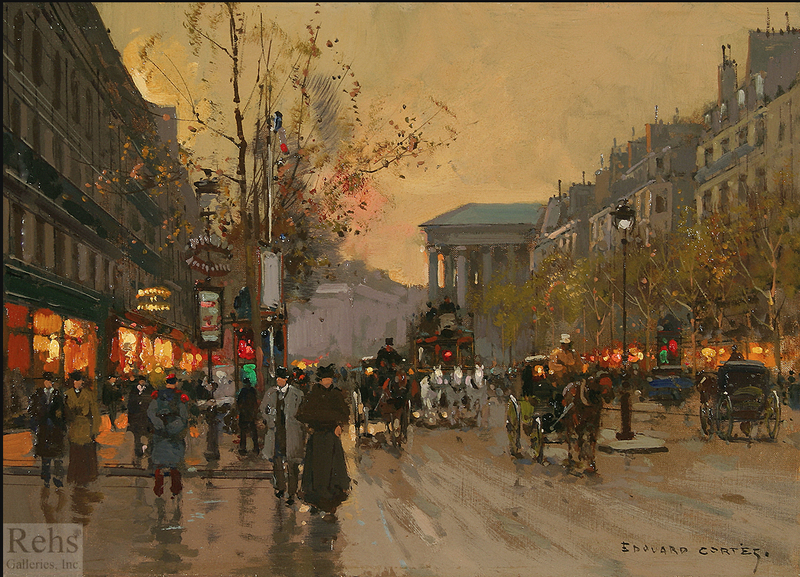 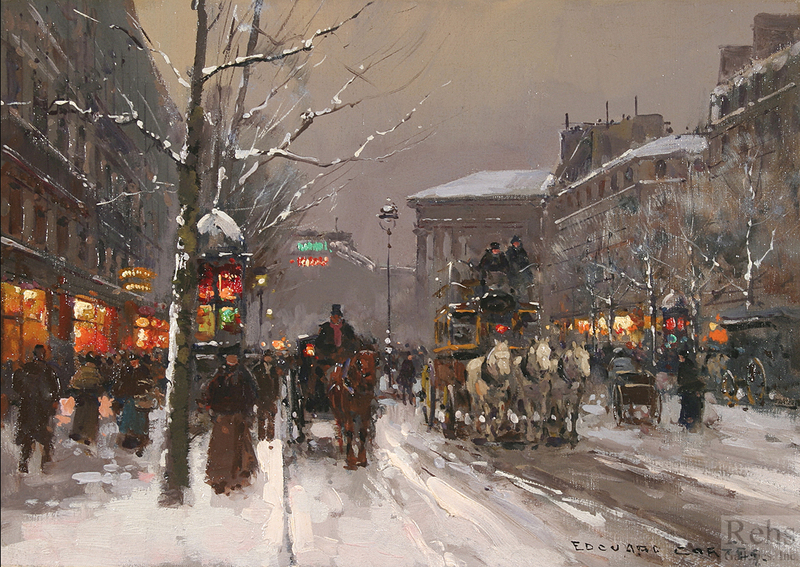 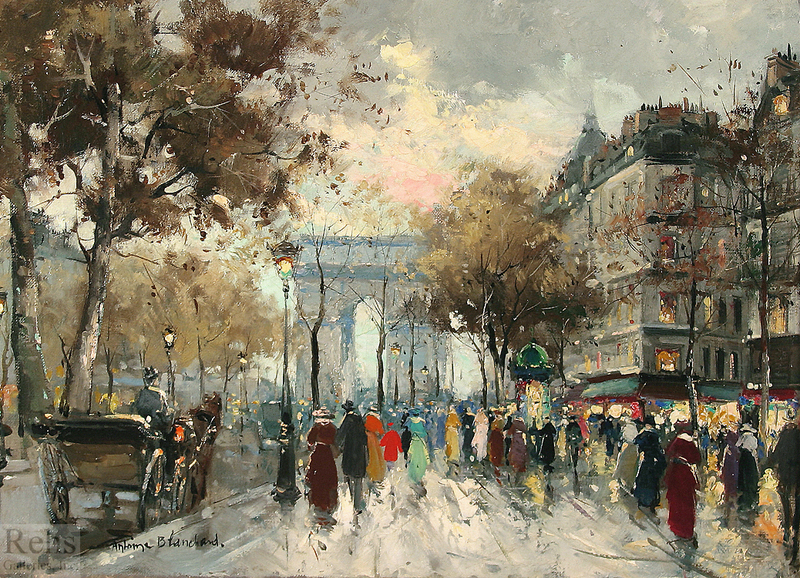 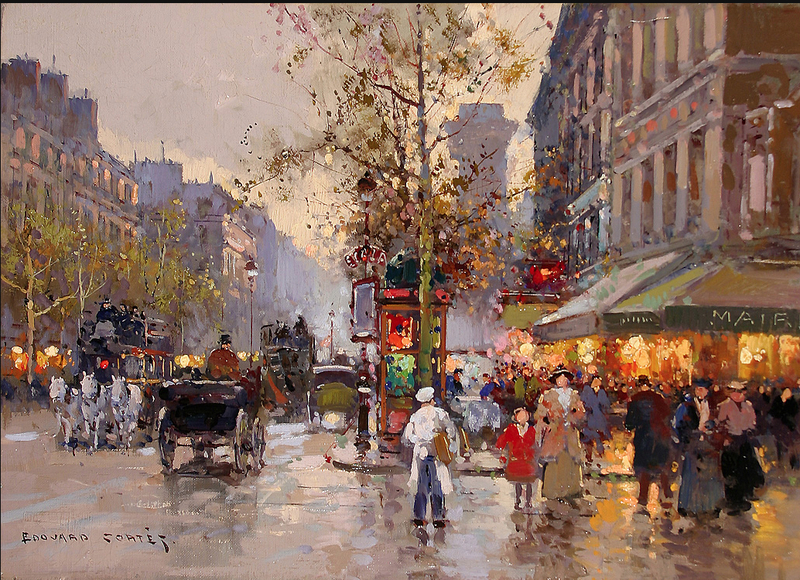 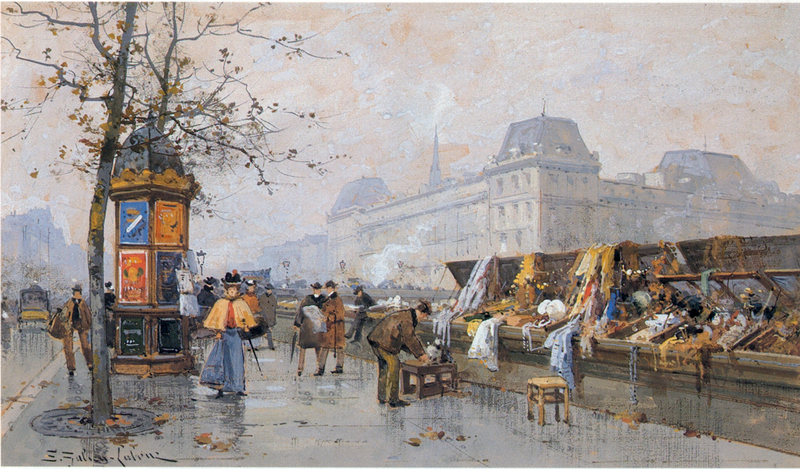 here now is the first part of a series about EDOUARD-LEON CORTES, and his beautiful paris city views.